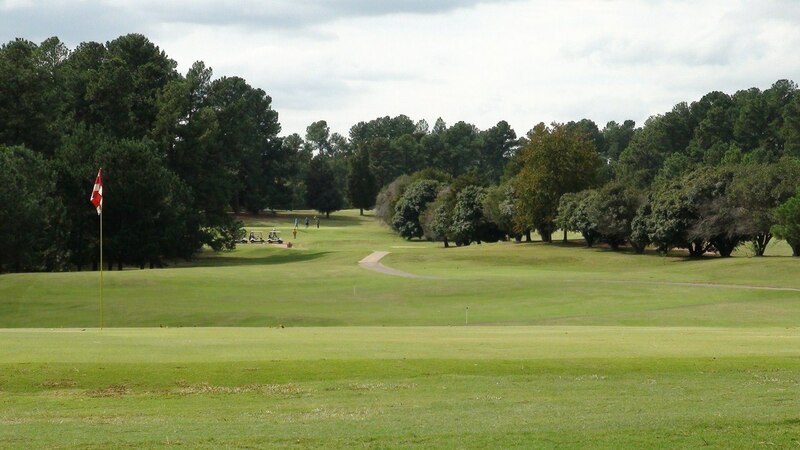 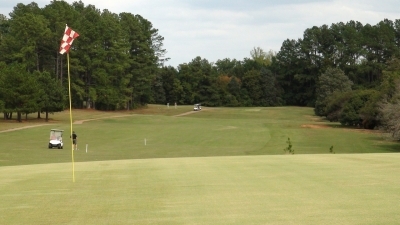 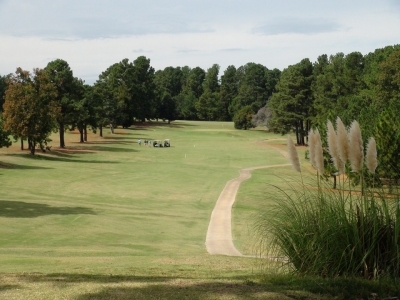 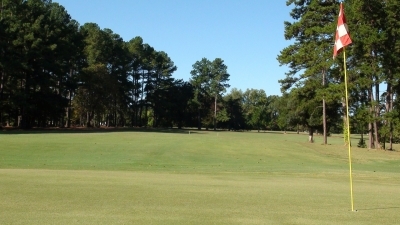 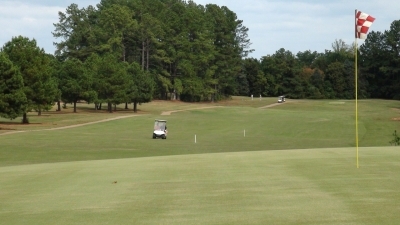 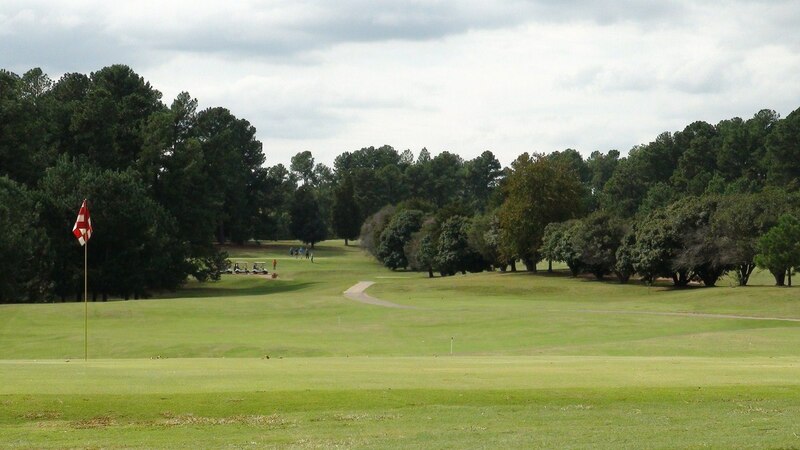 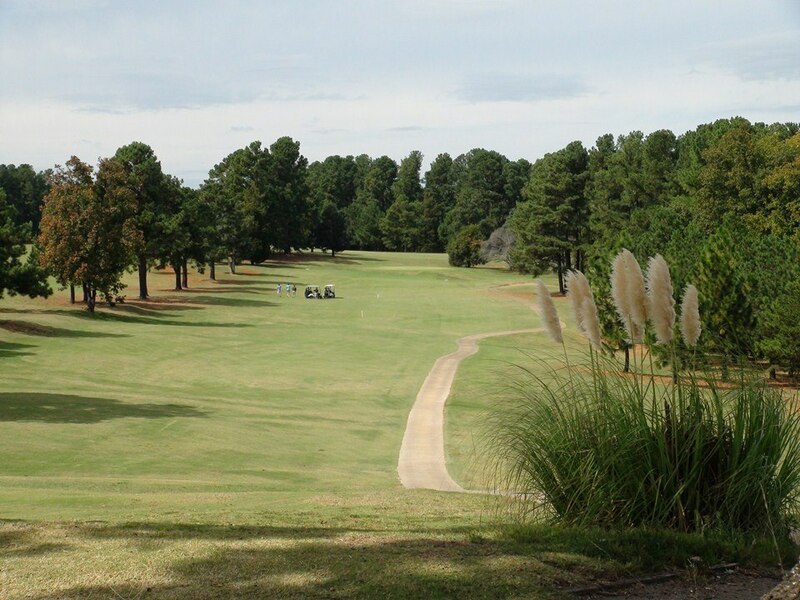 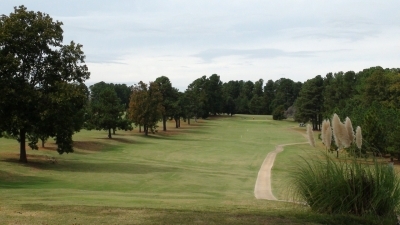 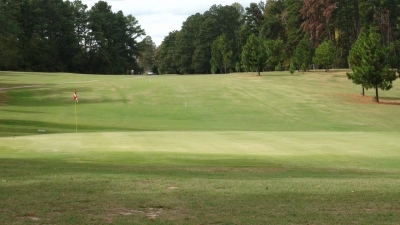 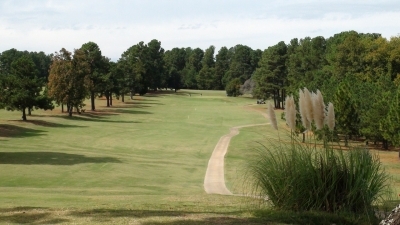 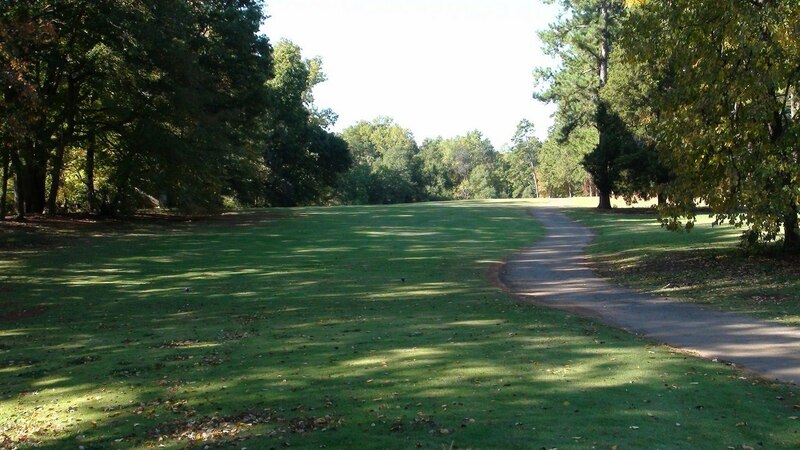 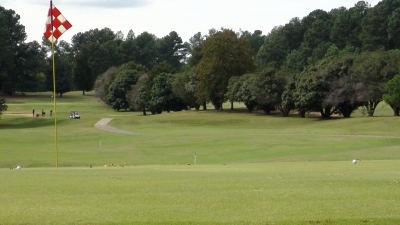 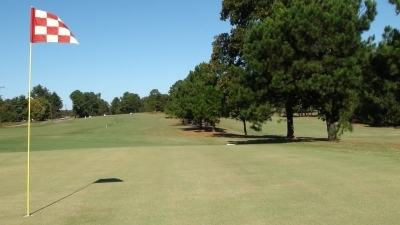 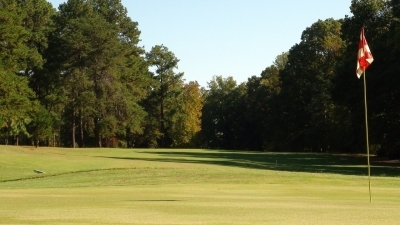 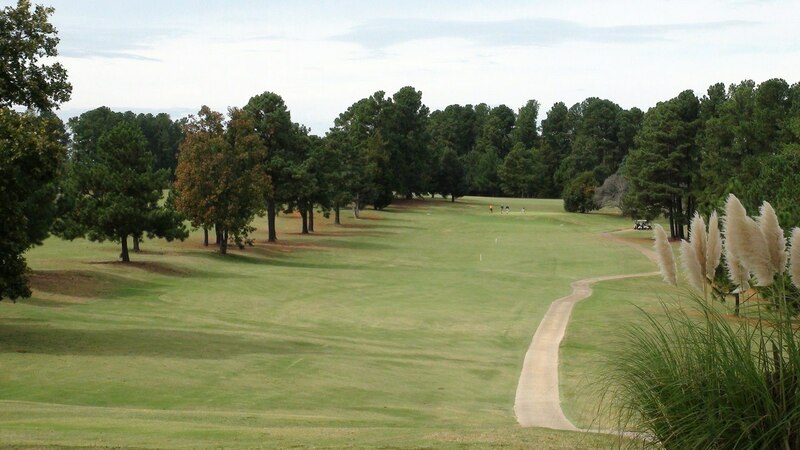 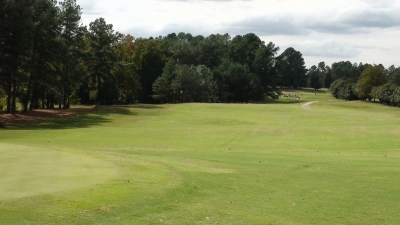 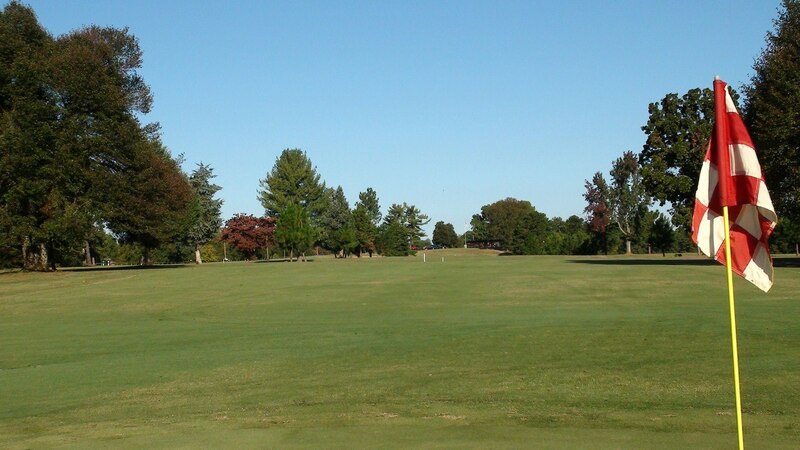 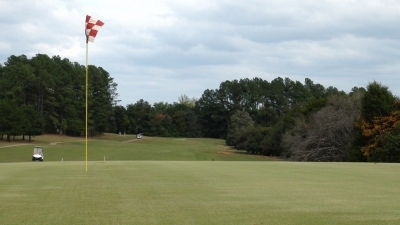 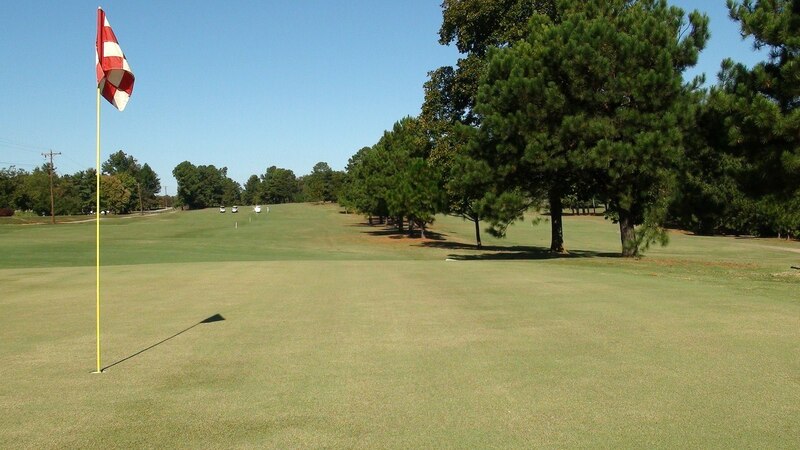 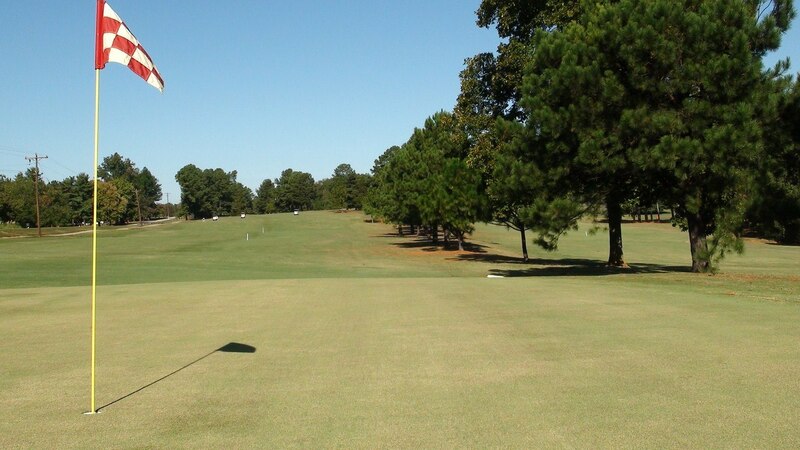 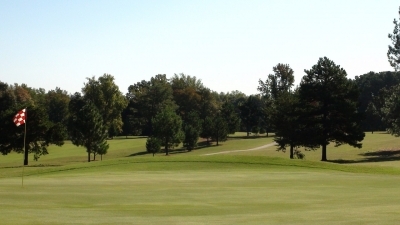 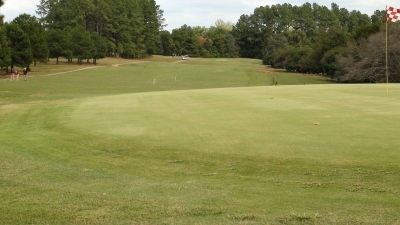 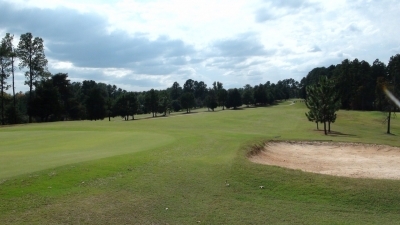 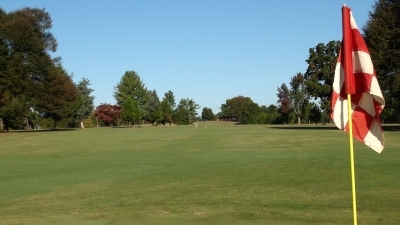 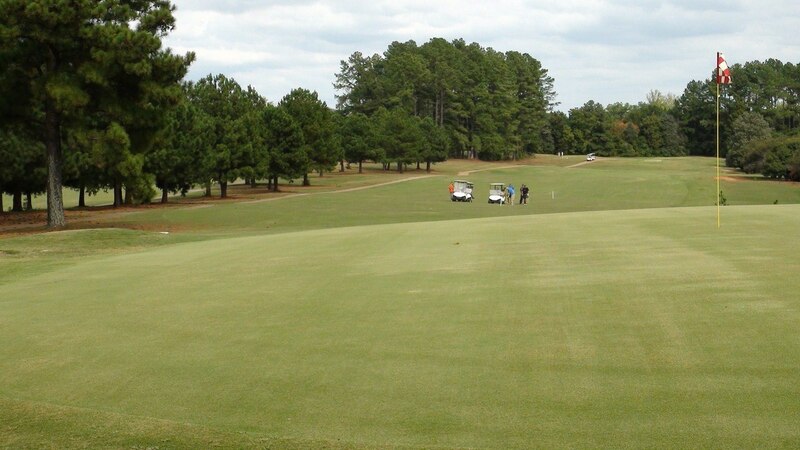 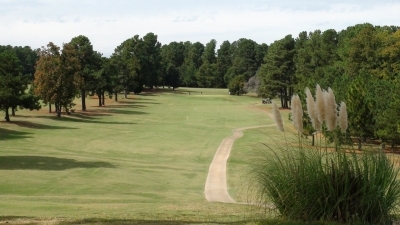 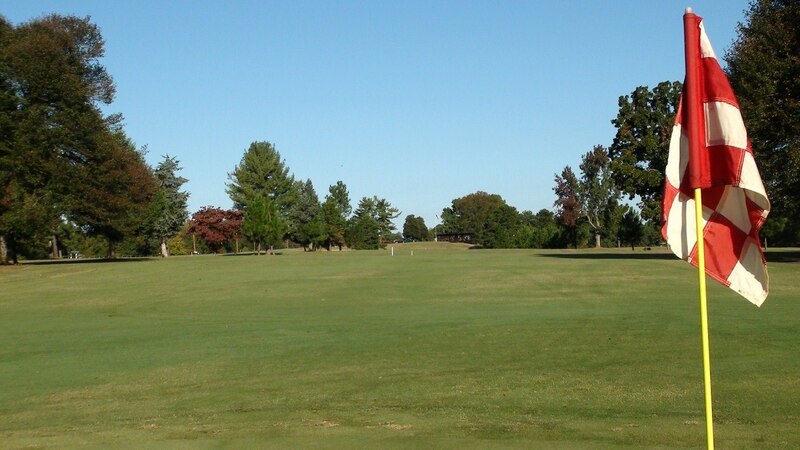 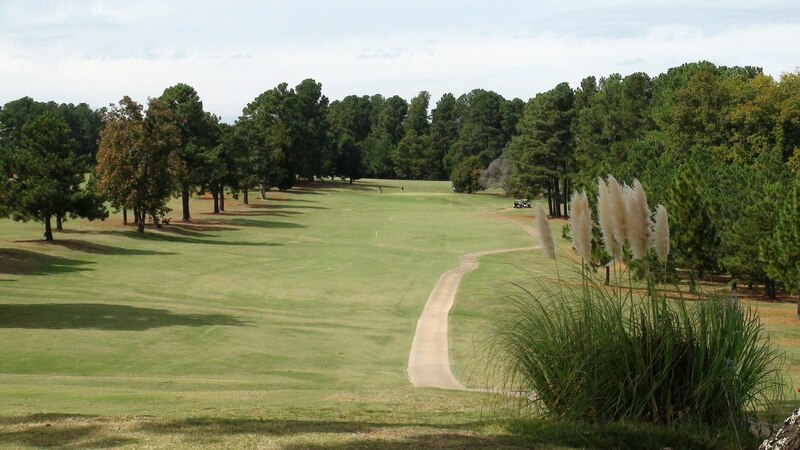 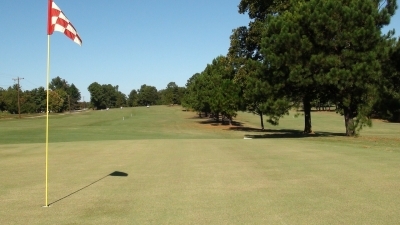 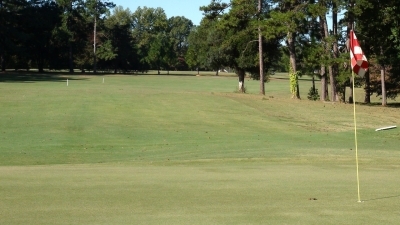 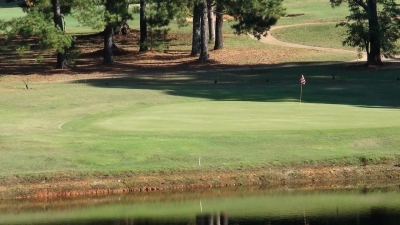 Enjoy teeing off on this wide fairway with beautiful pines on both sides. The slide show has begun- just hover your cursor over the image to make the slideshow pause on the current photo. 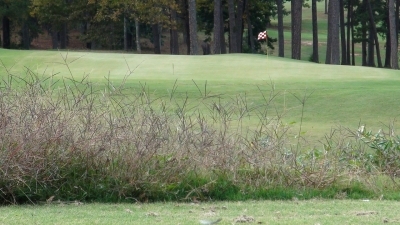 You can also manually click on the photos below- or choose a different hole above. 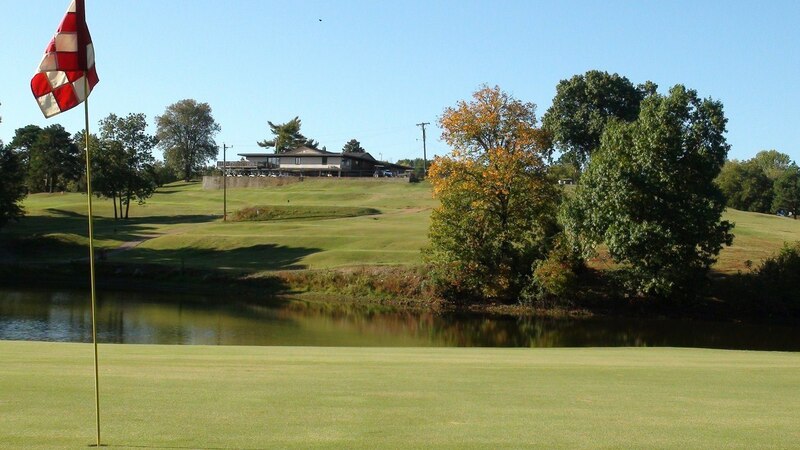 Once you've arrived at the green you will see a nice view of the clubhouse. 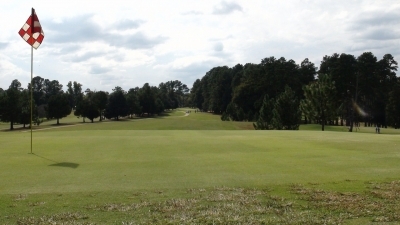 One thing this course is not short on- and that's exceptional beauty. 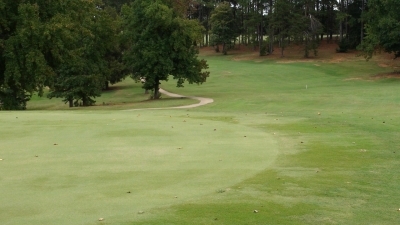 Once you finish up this hole- on to #2. 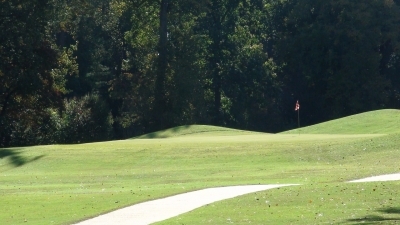 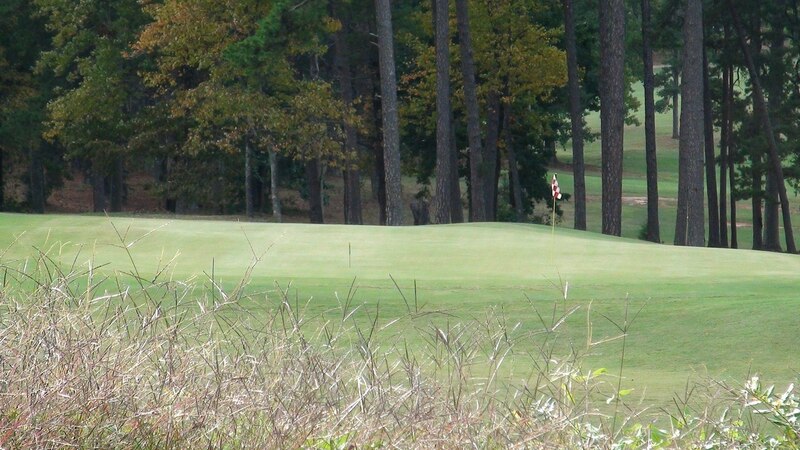 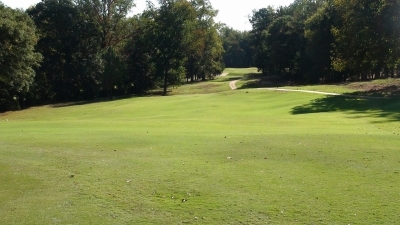 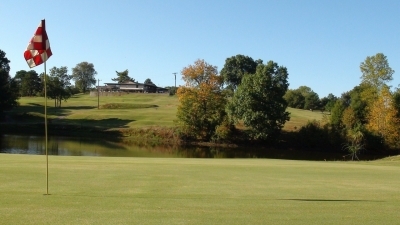 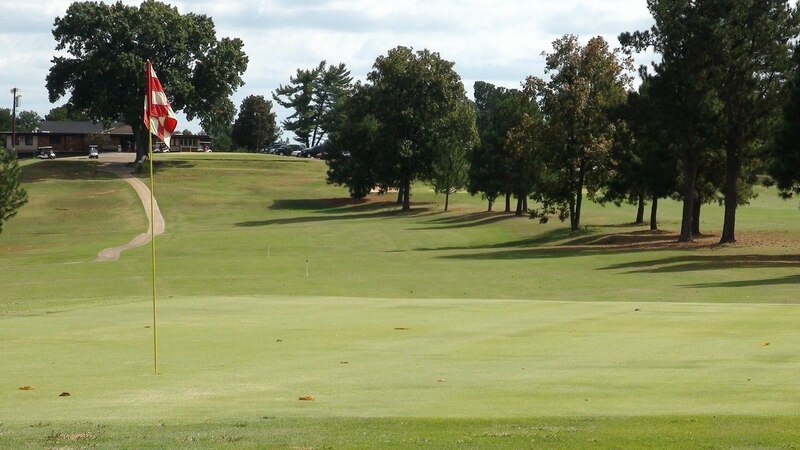 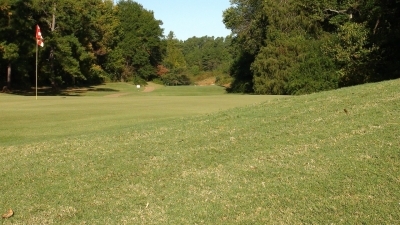 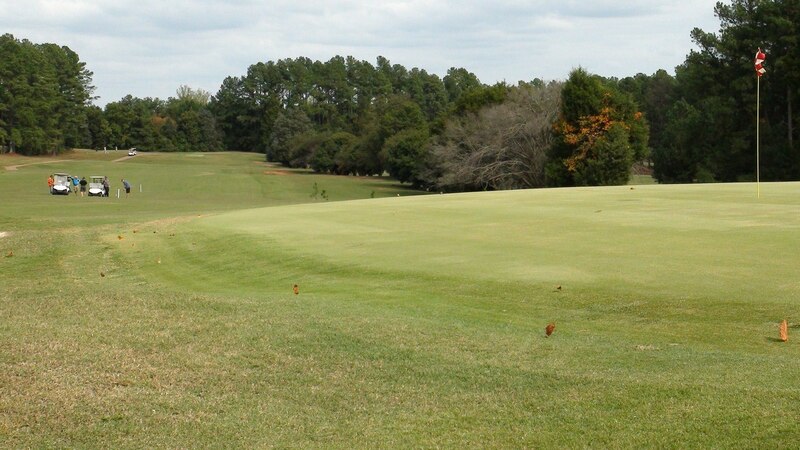 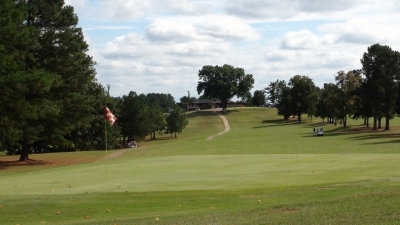 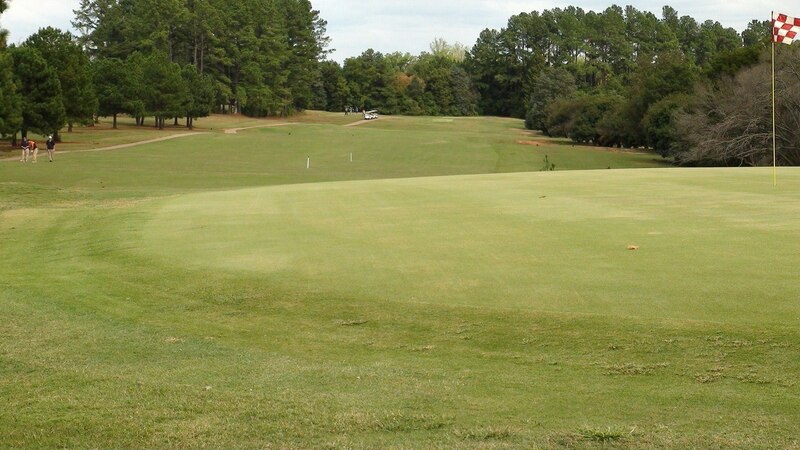 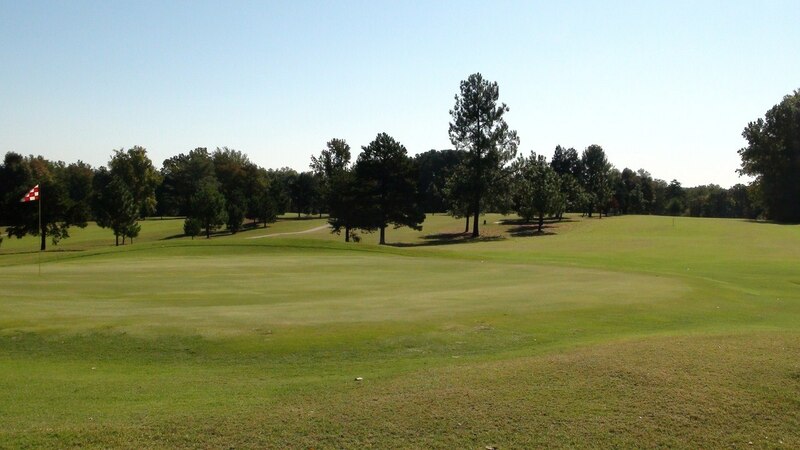 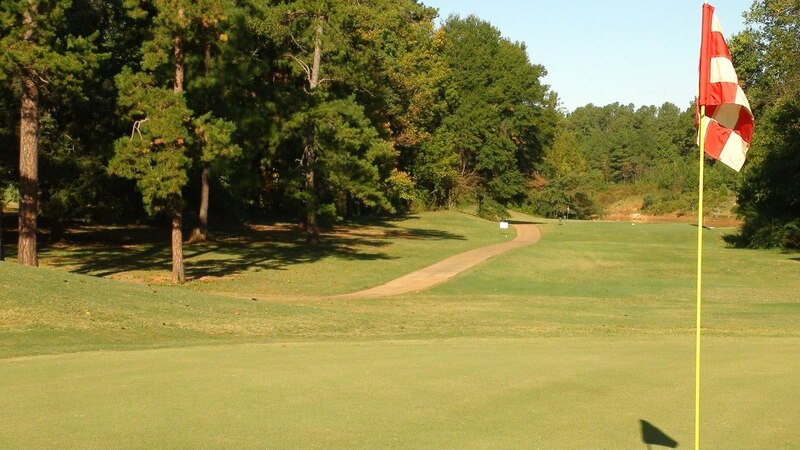 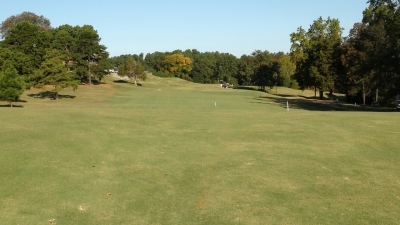 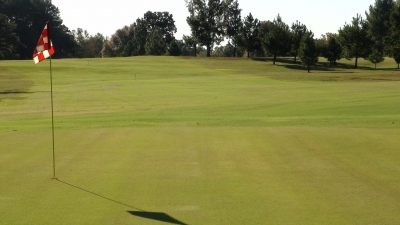 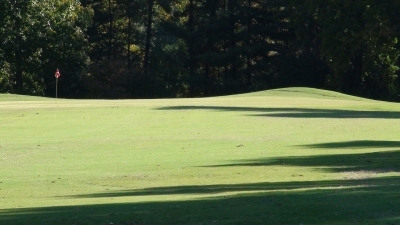 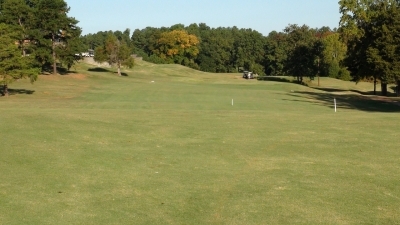 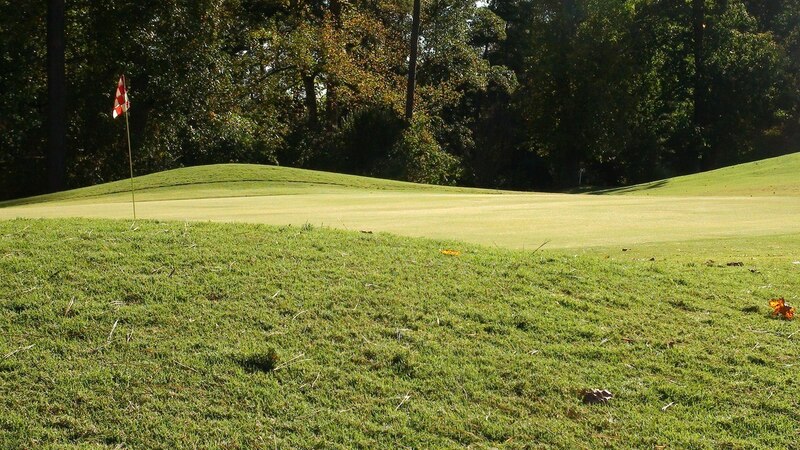 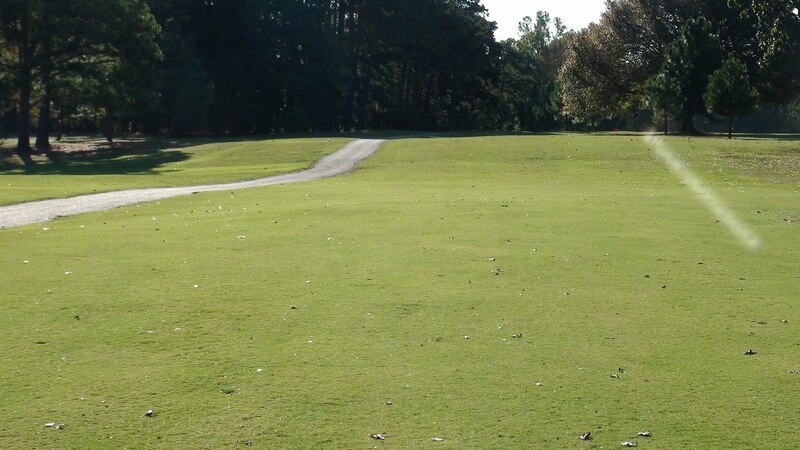 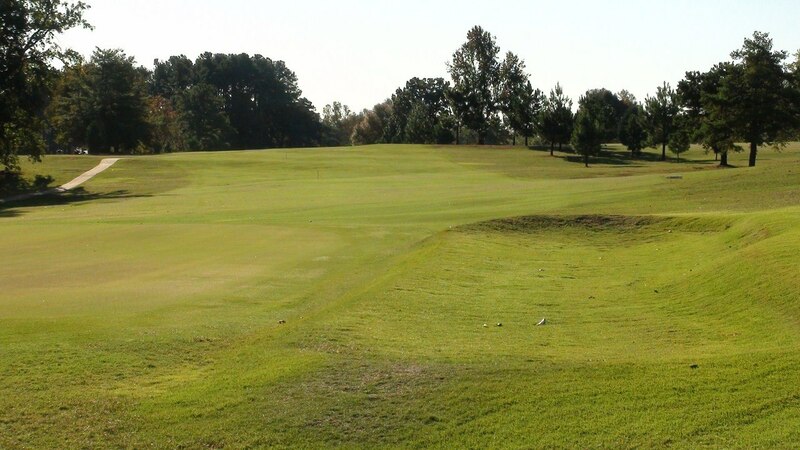 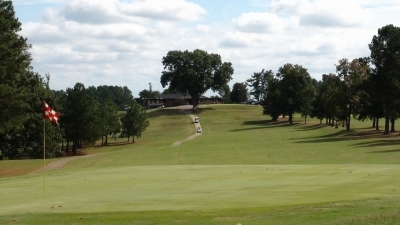 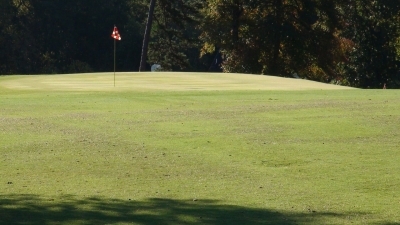 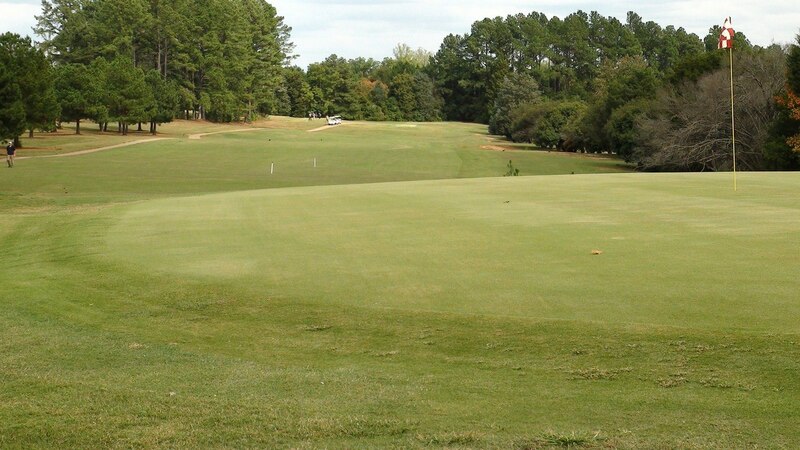 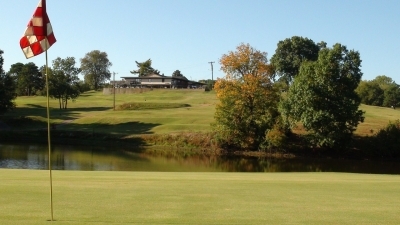 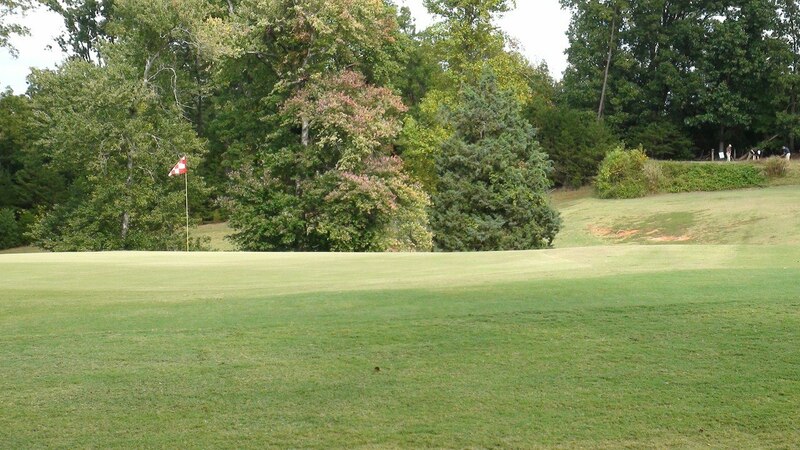 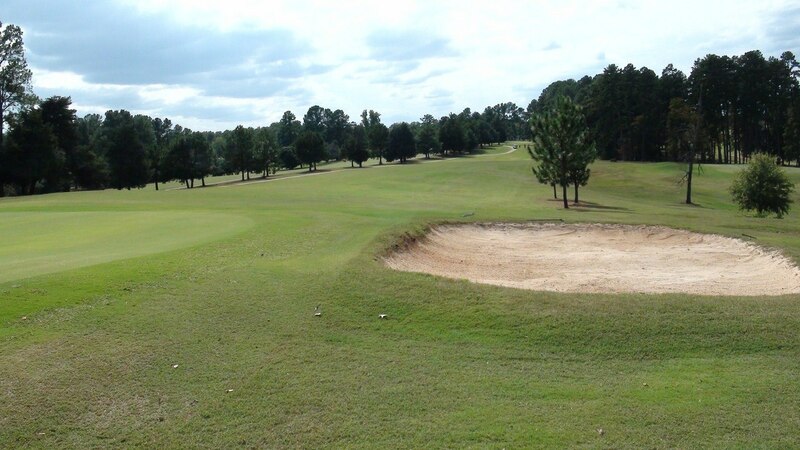 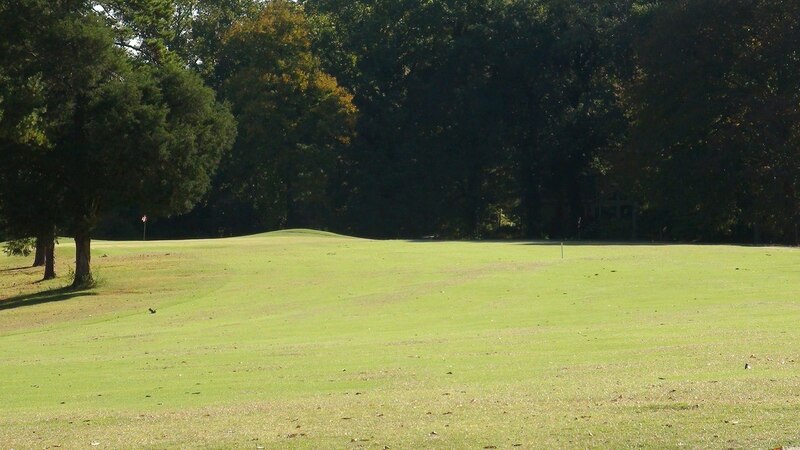 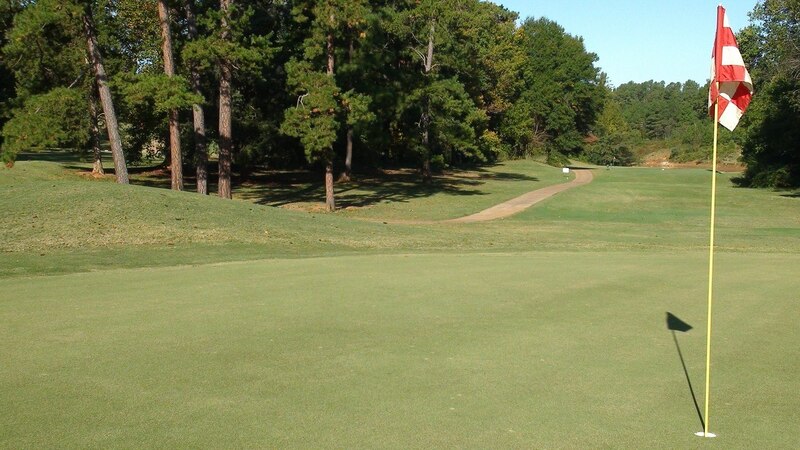 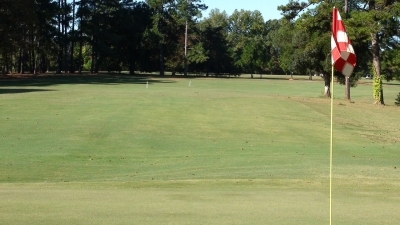 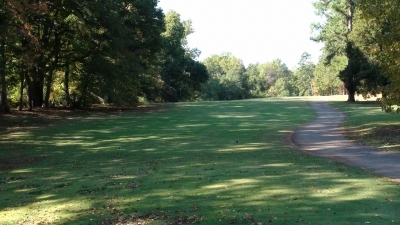 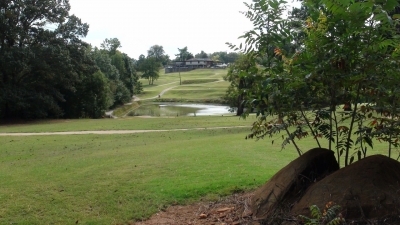 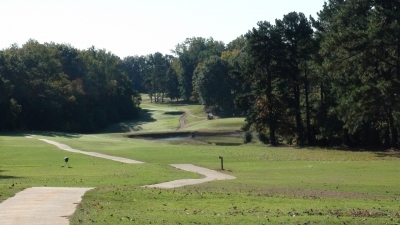 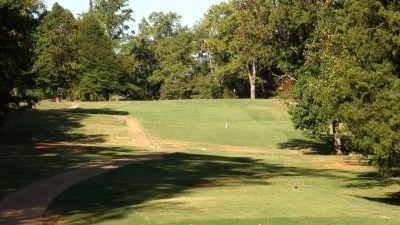 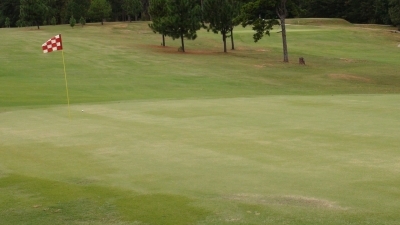 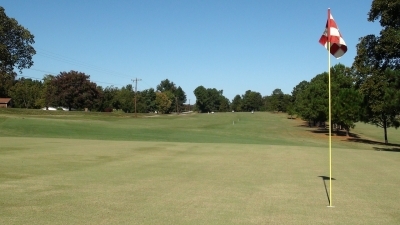 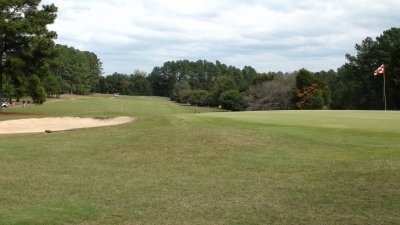 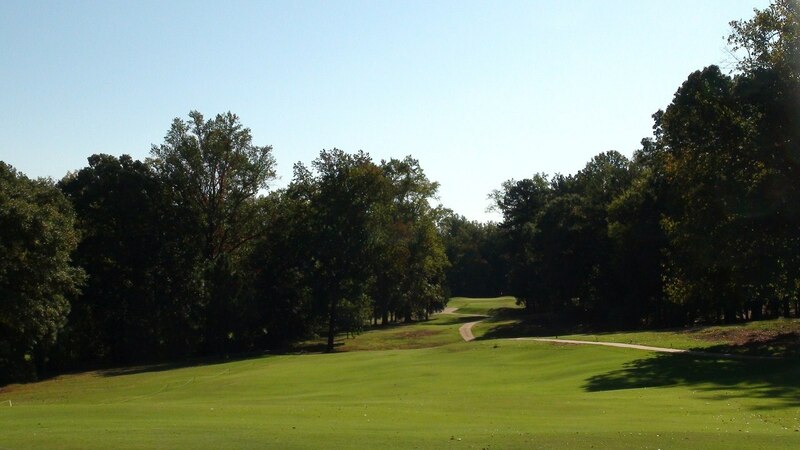 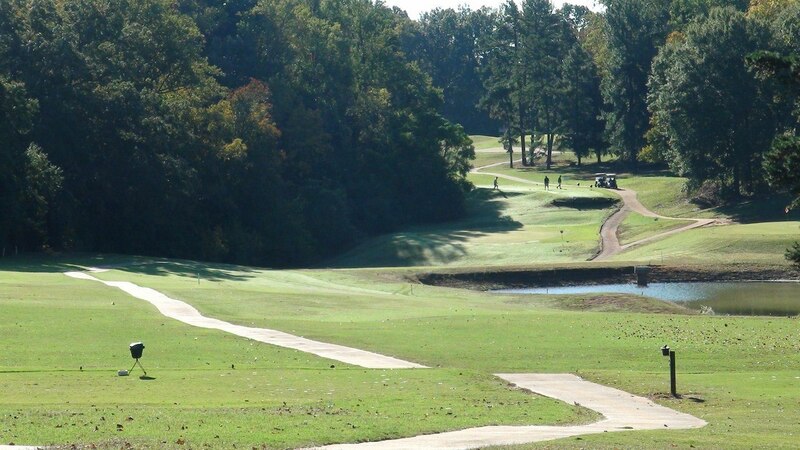 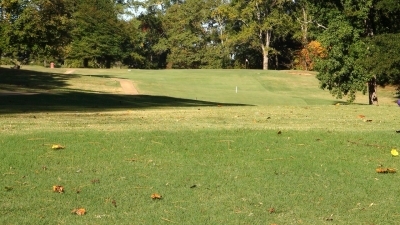 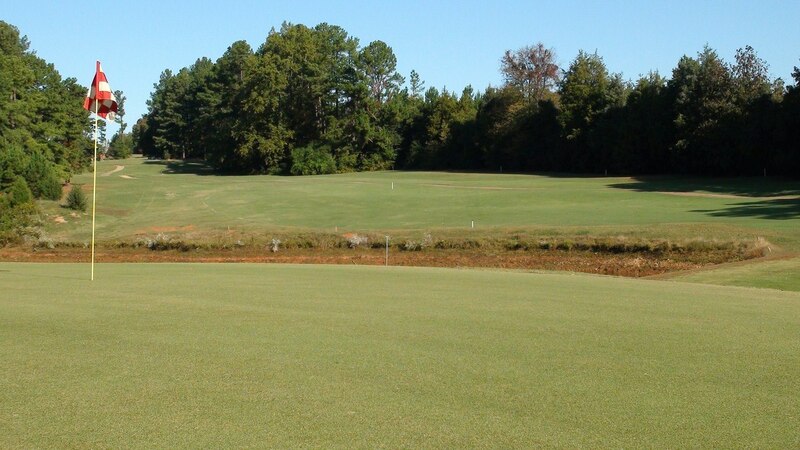 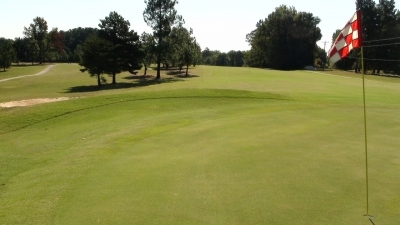 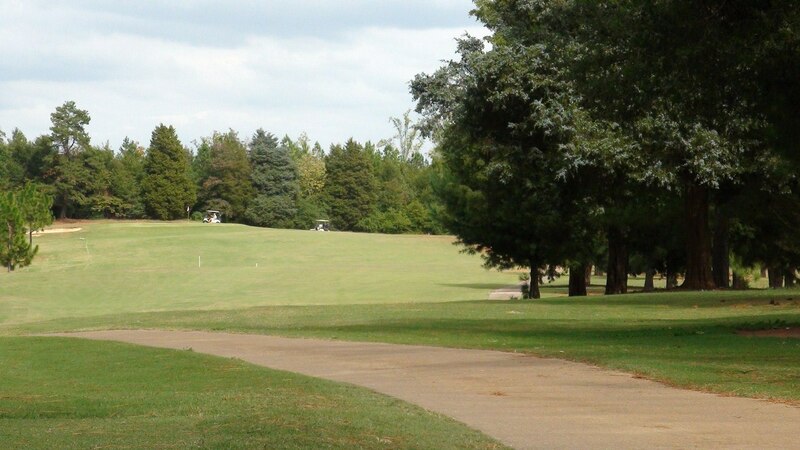 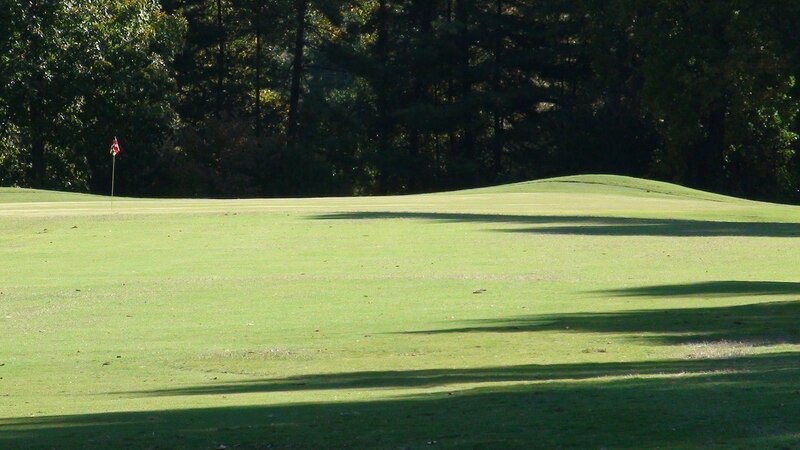 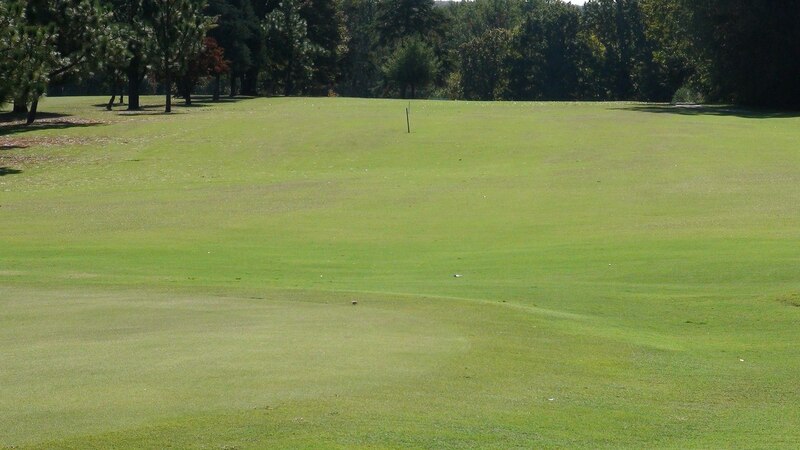 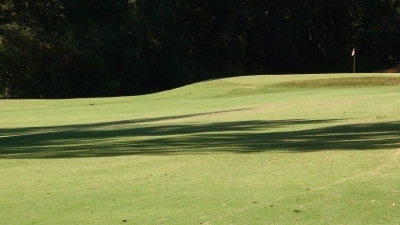 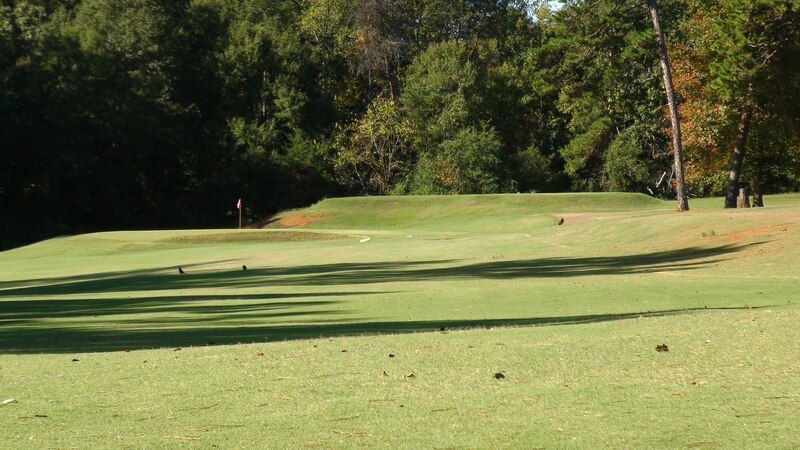 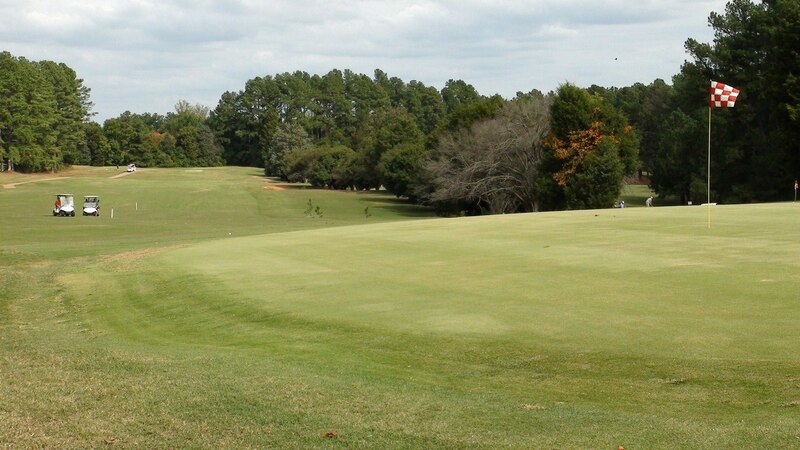 The rolling hills of this par 4 will help to put your mind at peace as you sink into your game. 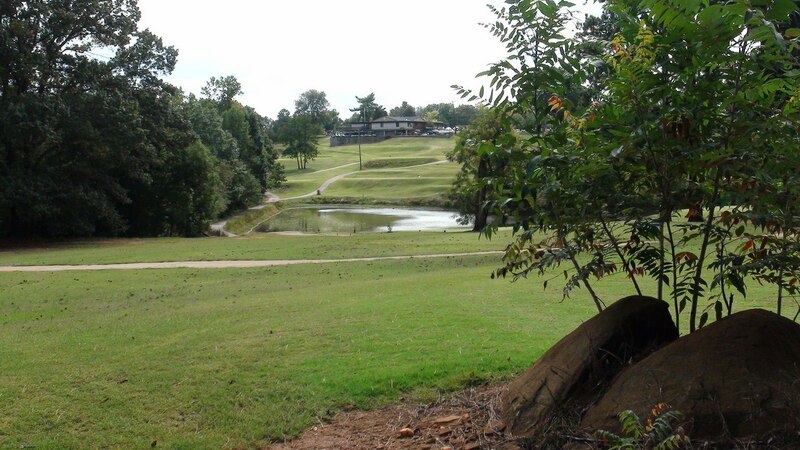 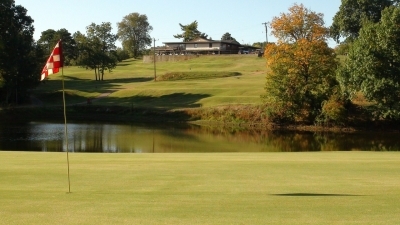 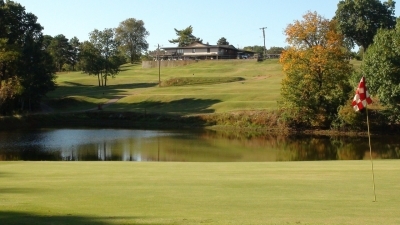 As you approach the green, to your right is the gorgeous lake at hole #12 and to your left hole #3. 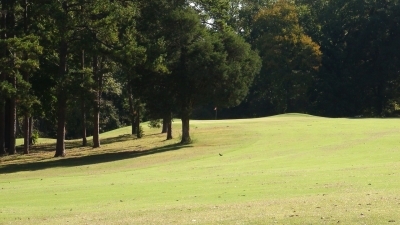 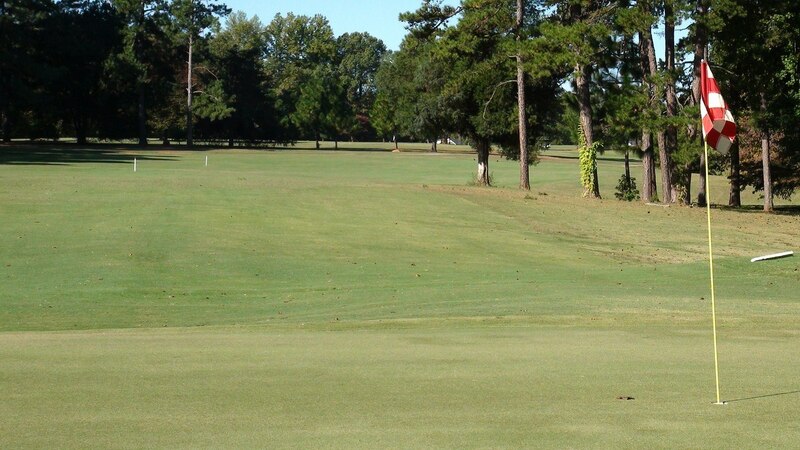 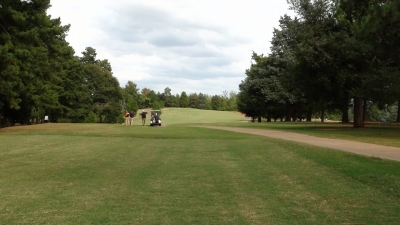 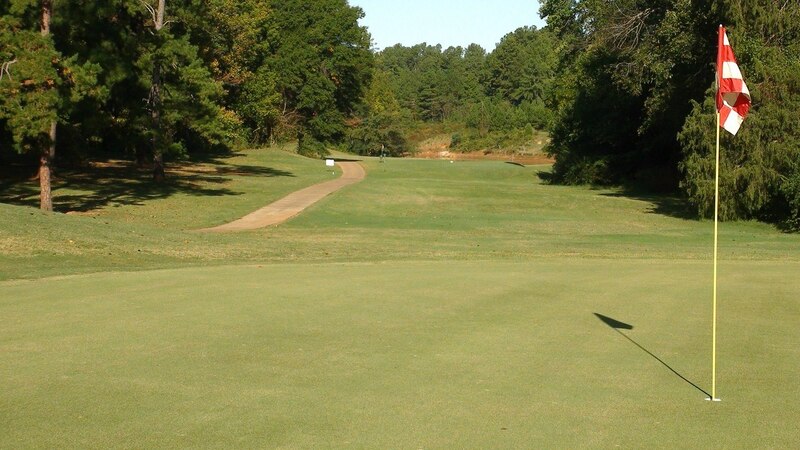 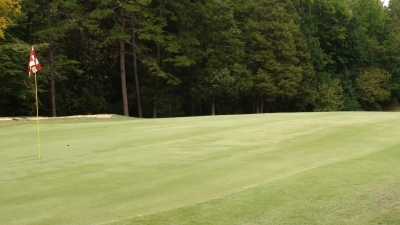 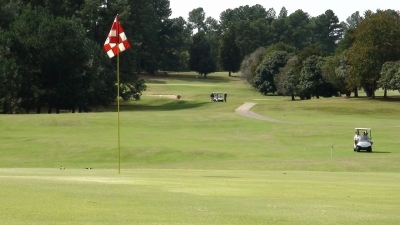 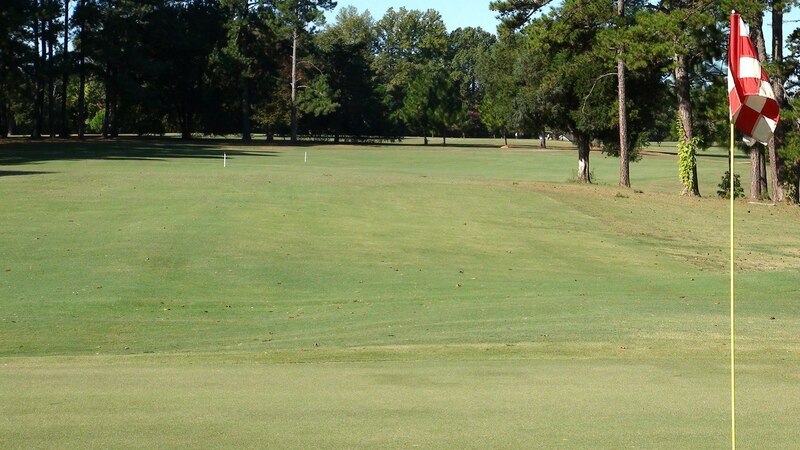 On your first par 5 of the course you can swing away with a pretty wide fairway to aim within. 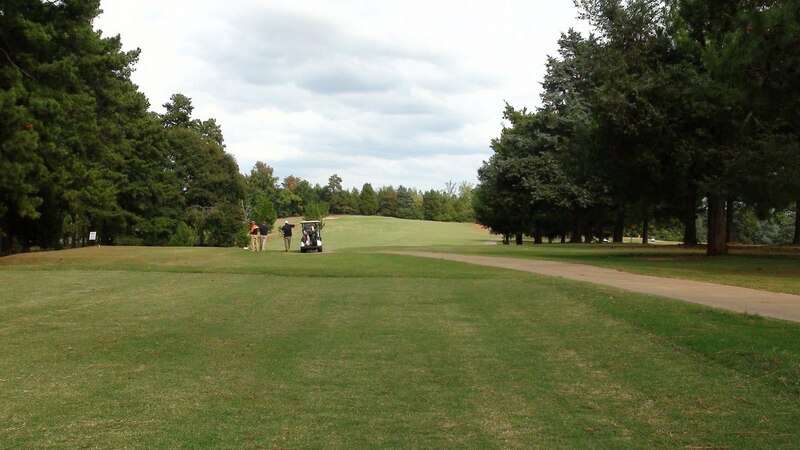 On your approach Hole #1 will be to your left and Hole #4 and #8 to your right. 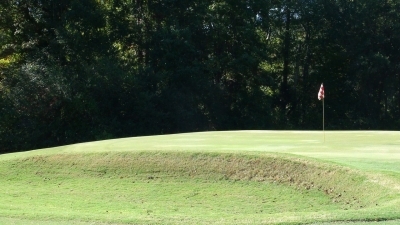 On your approach be careful to avoid this bunker just left side of the green. 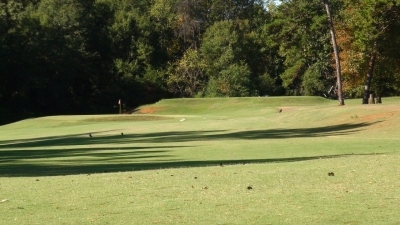 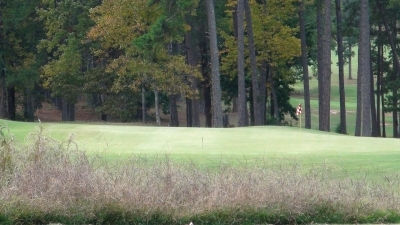 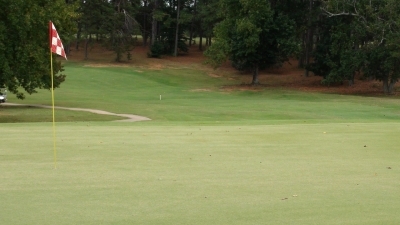 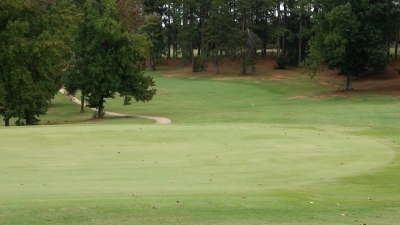 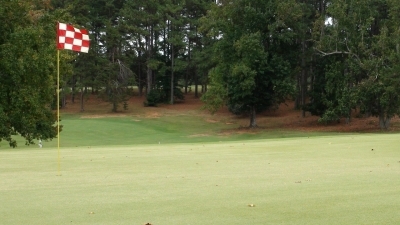 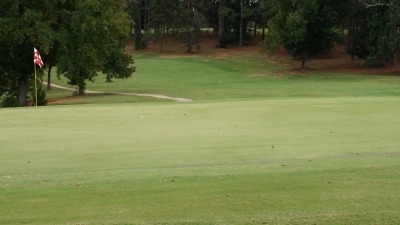 The distance can be tricky to judge- just make sure to take enough club to the tee. 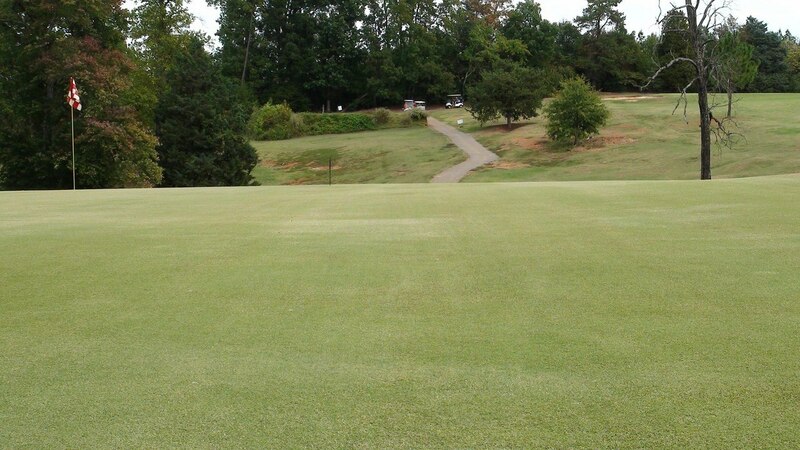 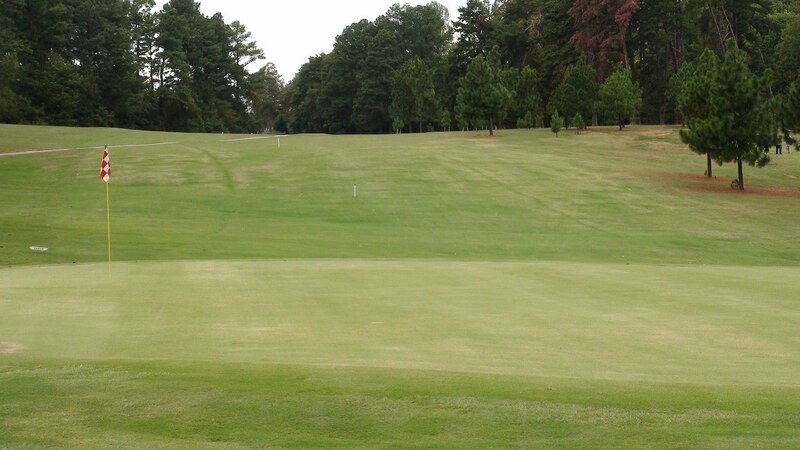 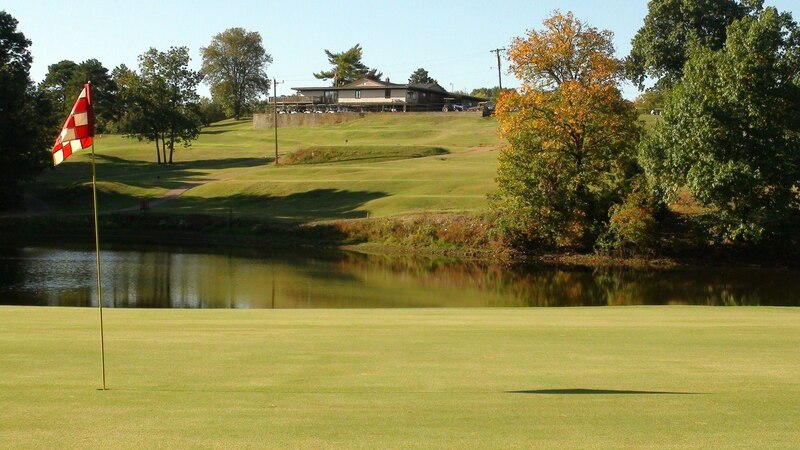 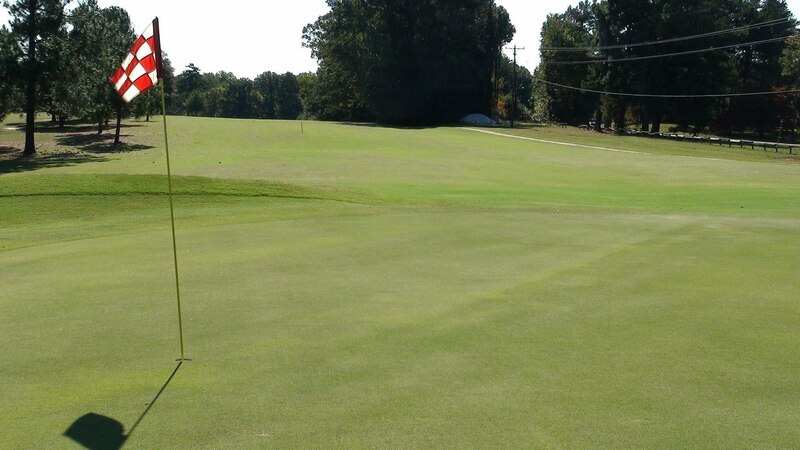 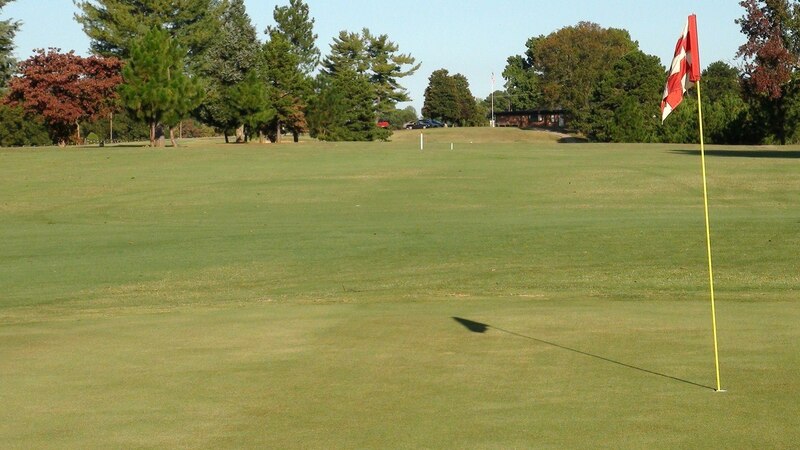 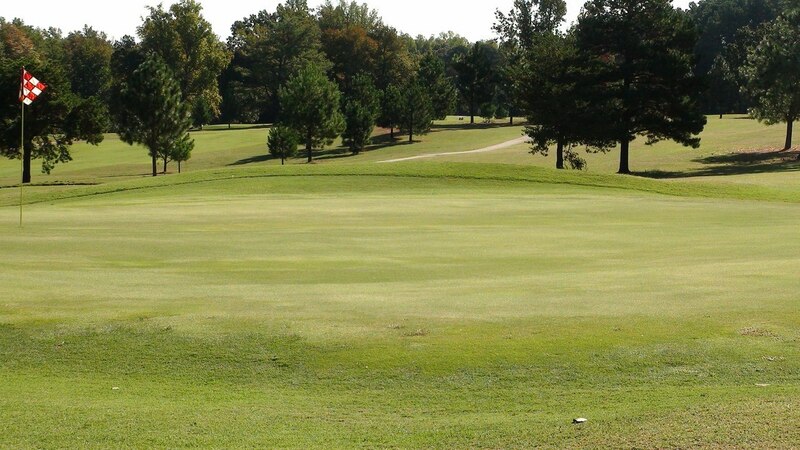 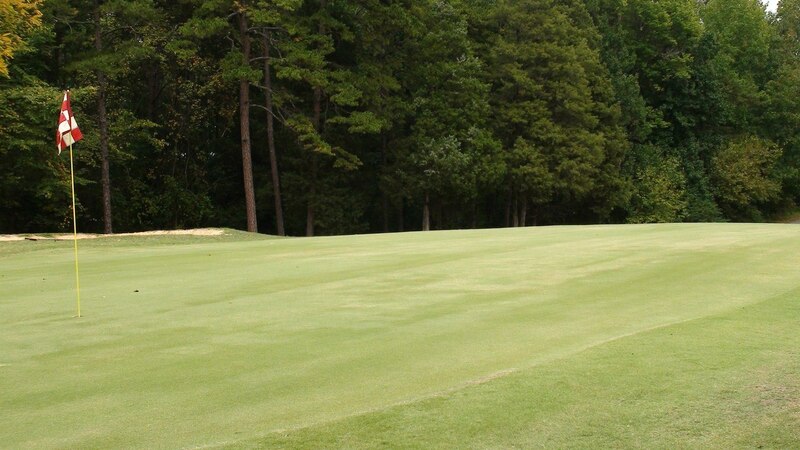 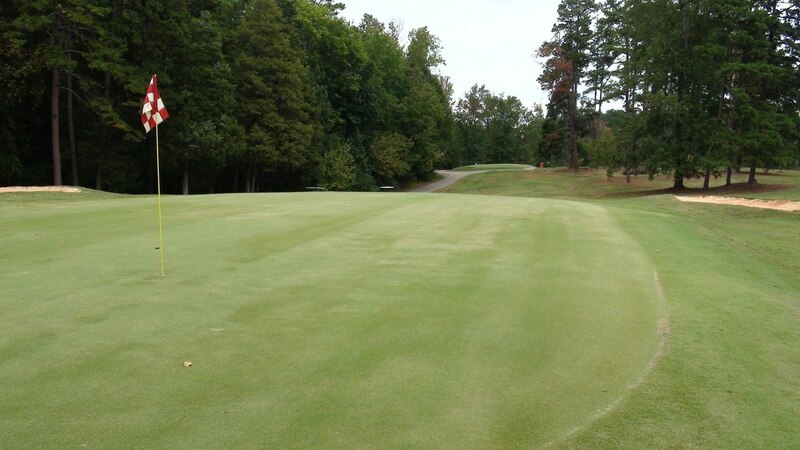 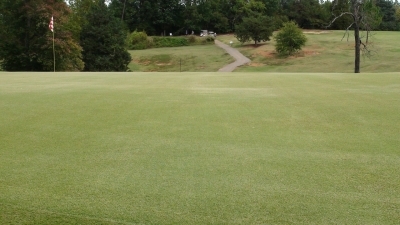 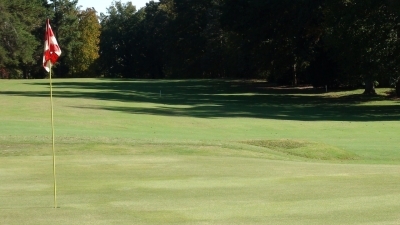 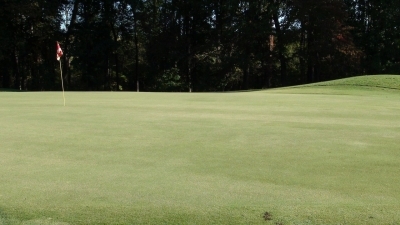 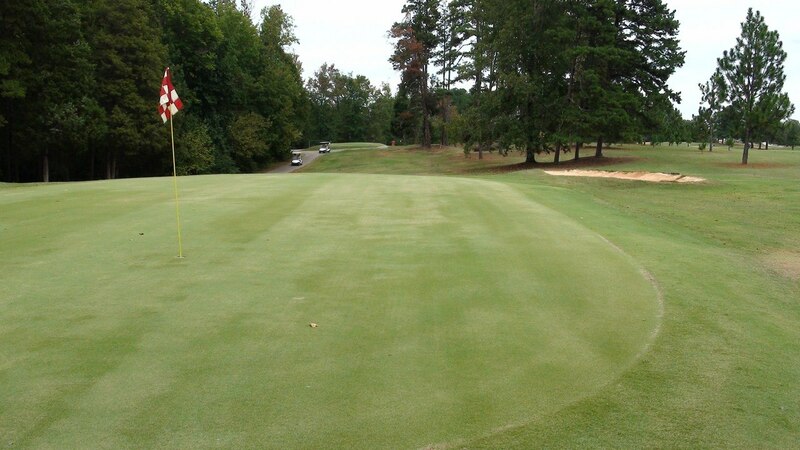 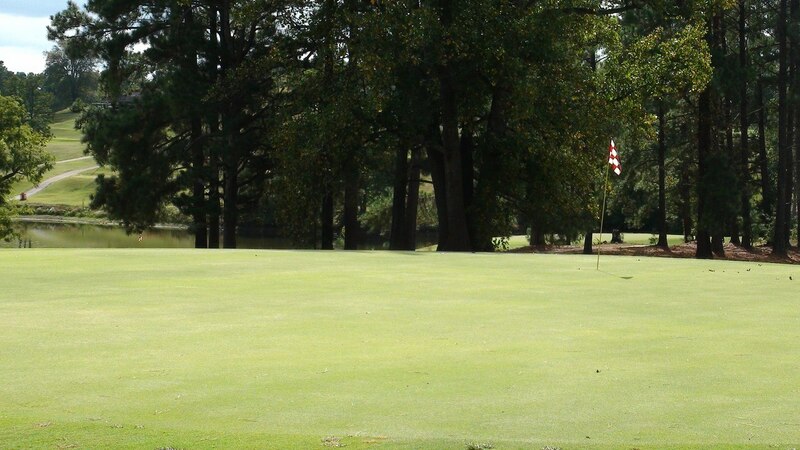 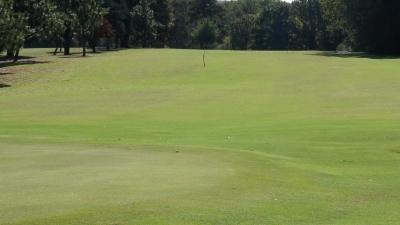 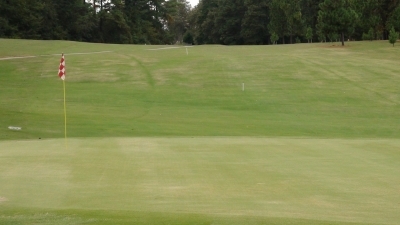 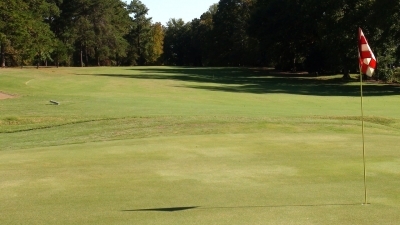 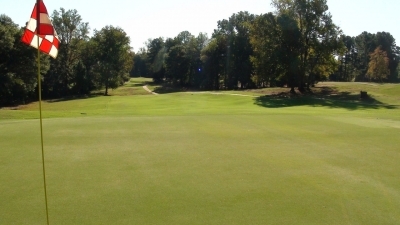 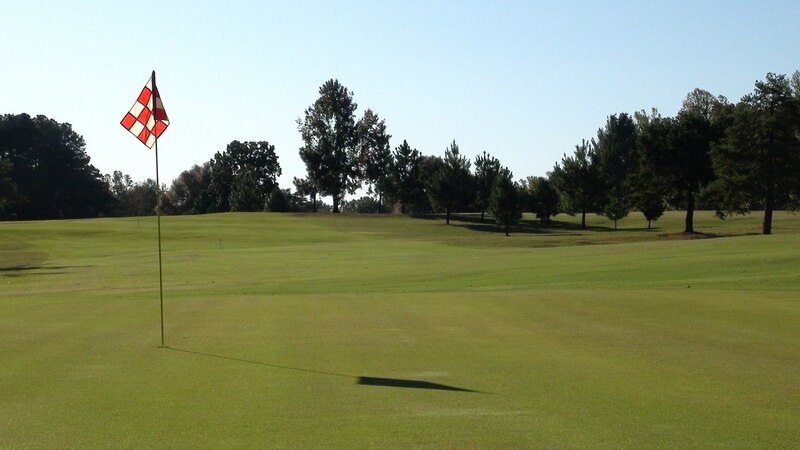 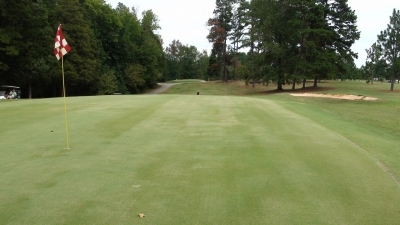 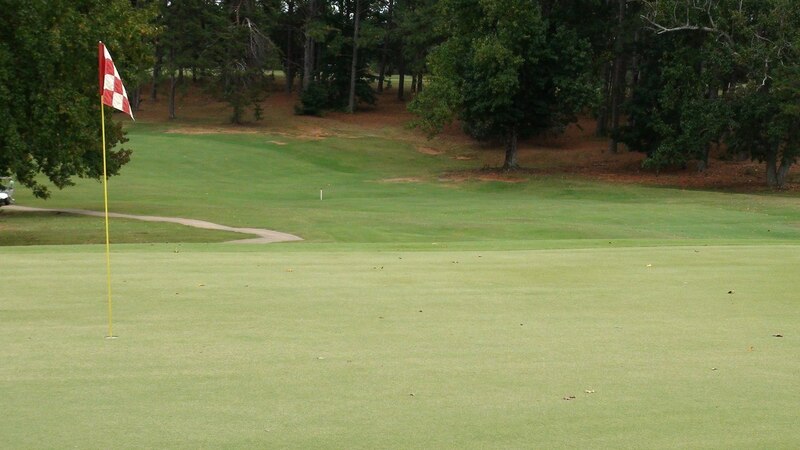 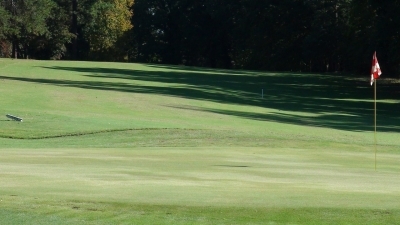 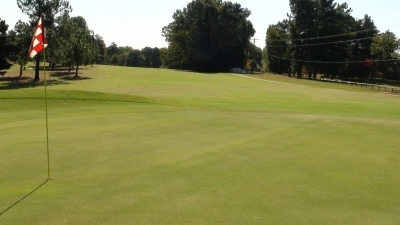 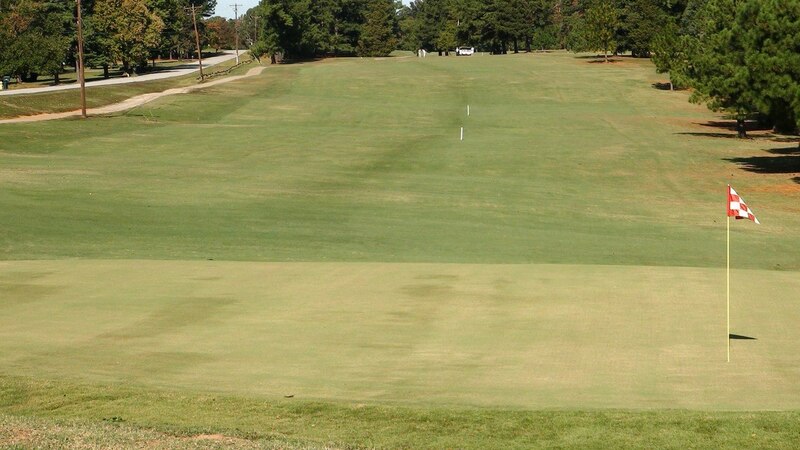 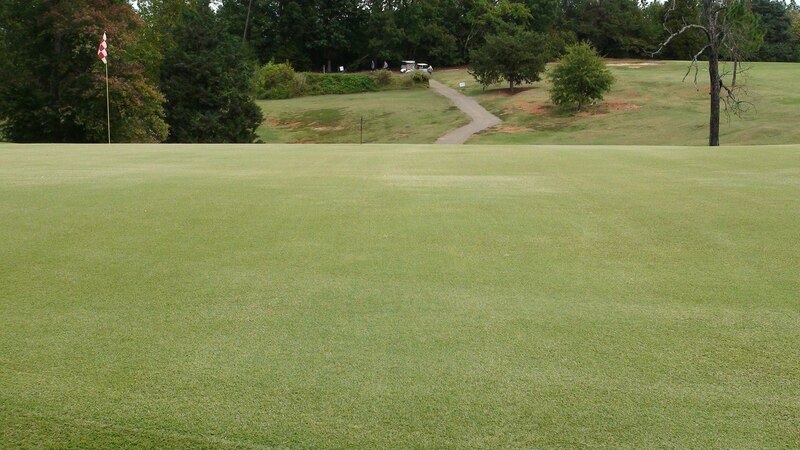 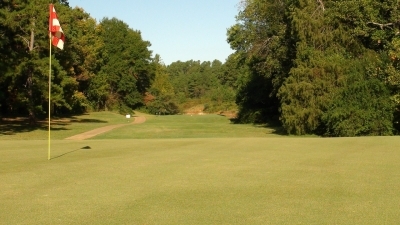 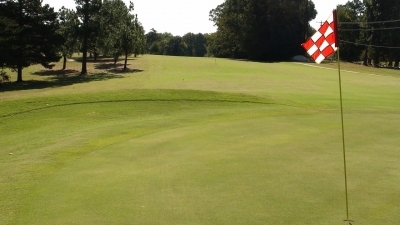 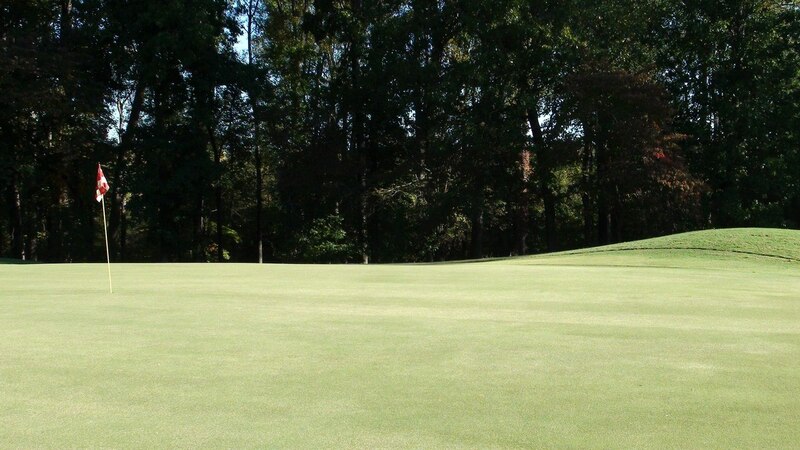 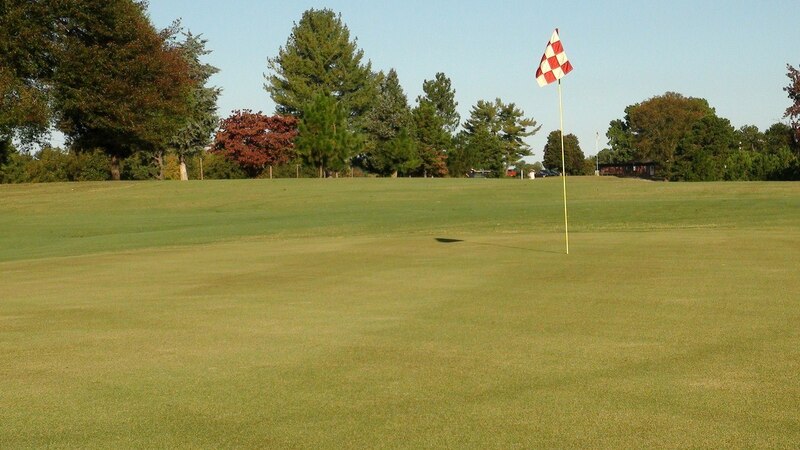 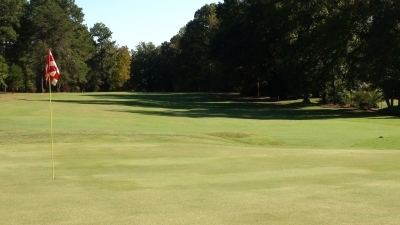 As you tee off on this hole- you'll be faced with a sharp right before seeing this green. 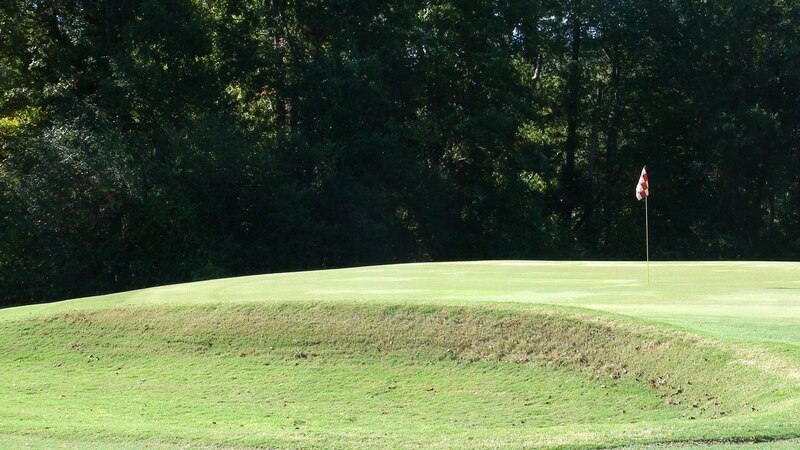 You'll have a lot of green to shoot for on this hole- but you'll want a long putt rather than that bunker on the left side of the green. 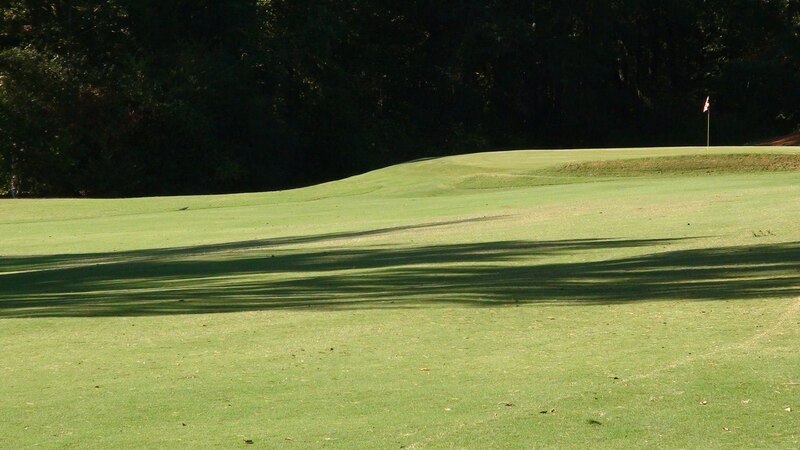 This hole can feel like a long way to the green- so show up with a good swing of your driver and you should have a good setup for your approach. 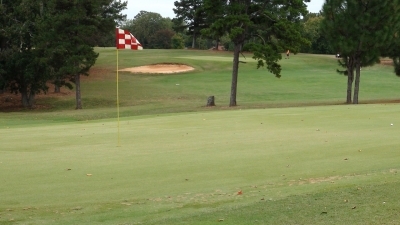 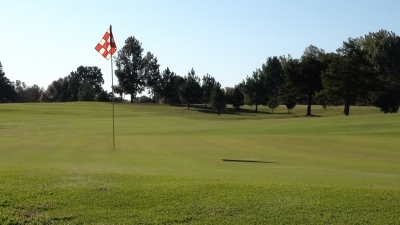 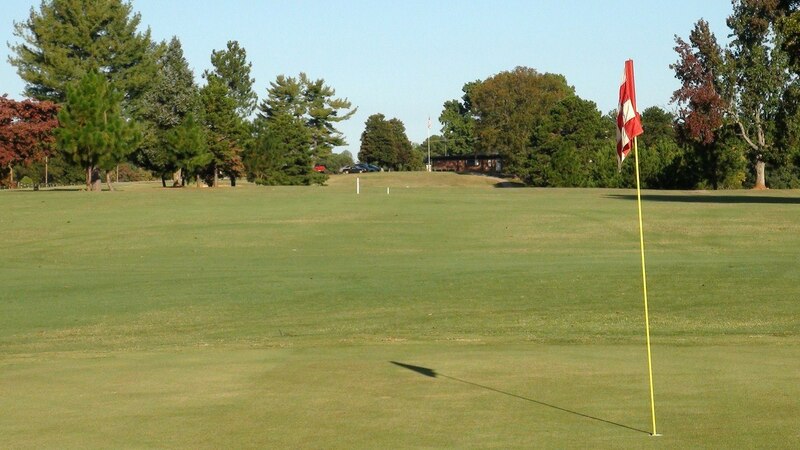 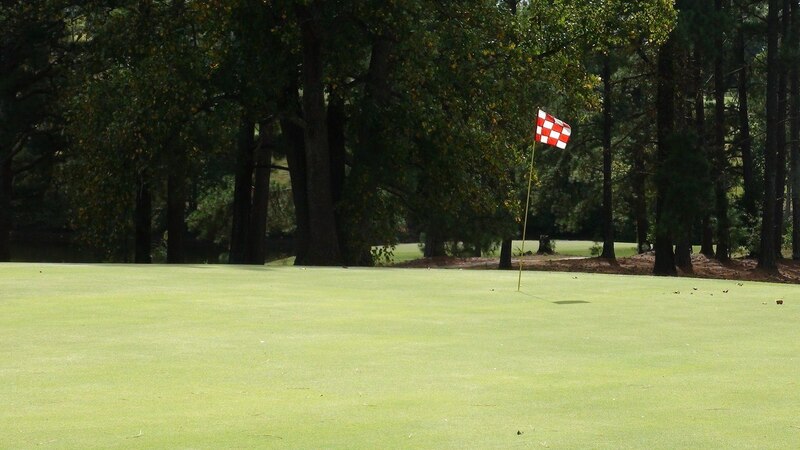 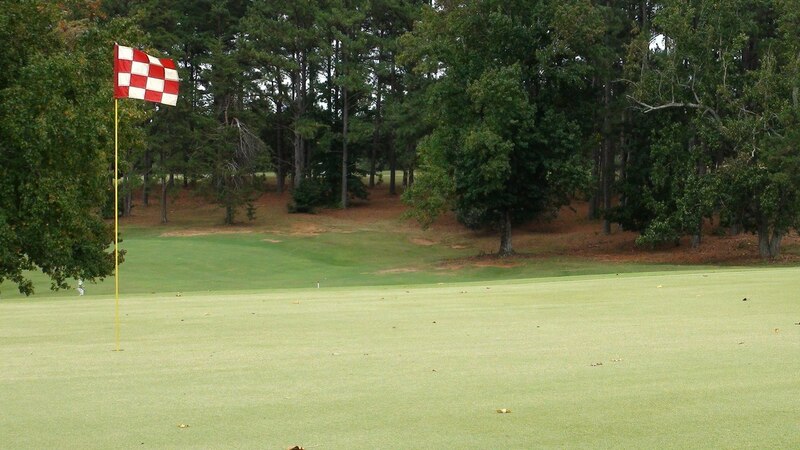 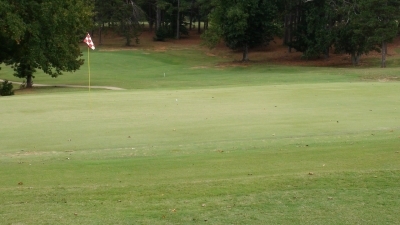 As you approach the green you'll see hole #3 just beyond the flag. 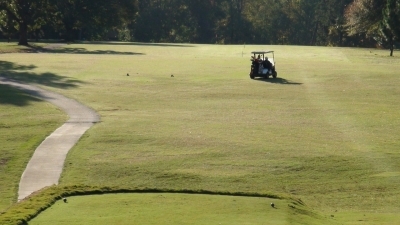 As you setup to tee off you'll be presented with a much needed wide fairway. If you see a car passing down Piedmont Golf Course Rd to your right... just pretend to setup for your shot a little longer if you're uncomfortable. As you approach the green you're halfway through the course and right at the clubhouse. 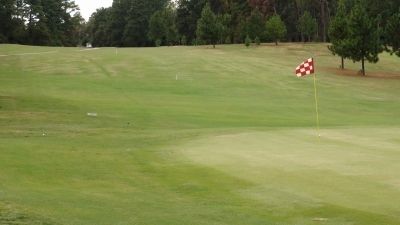 Stop in for a refreshment before hitting the back nine. 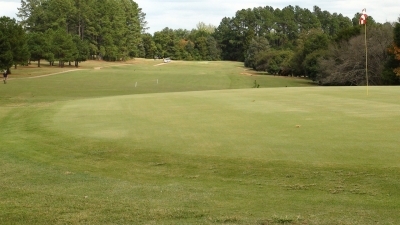 You'll be passing by hole #11 on the left and #18 on the right. You're almost to the lake on this drive.. take your time to enjoy the sights. 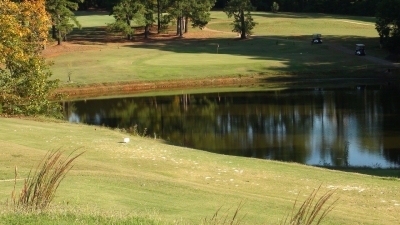 After you finish up the third par 5 of the course- you'll see our signature lake at hole #12 to your right. 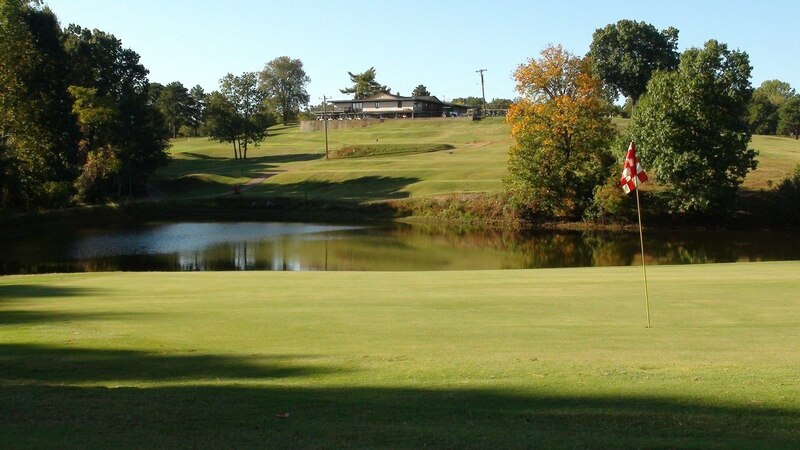 It's easy to get caught up in the beauty of the lake... and end up in the water! Careful- better bring enough club and make it to the other side. 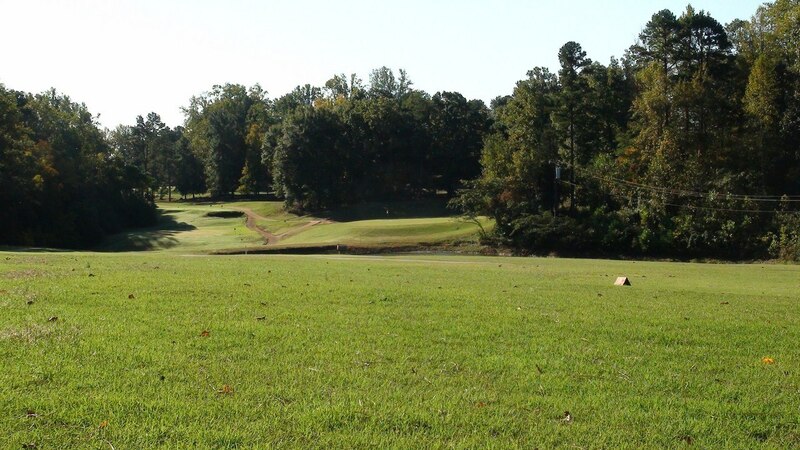 You'll wish you could hang out here all day- but you have six more holes to go! 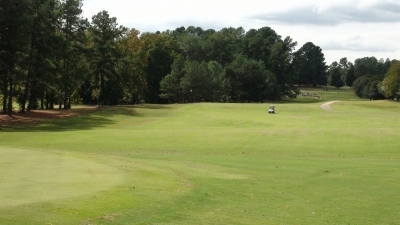 This is a distant view of #12 and the clubhouse. 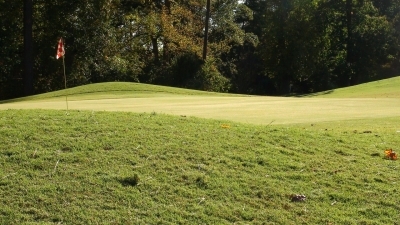 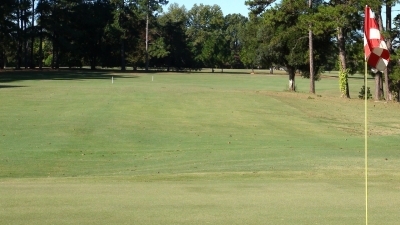 Just to the right of this spot is hole #3 and to the left, #13. Drive it close to the lake and then a good hit over onto the green and it will be a happy drive! 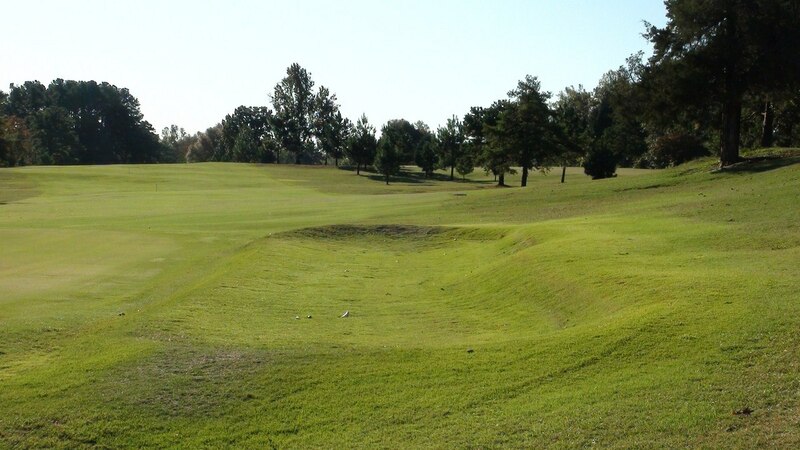 It's a beautiful hole but it will look even better with a hole in one! 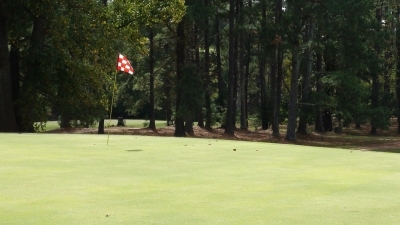 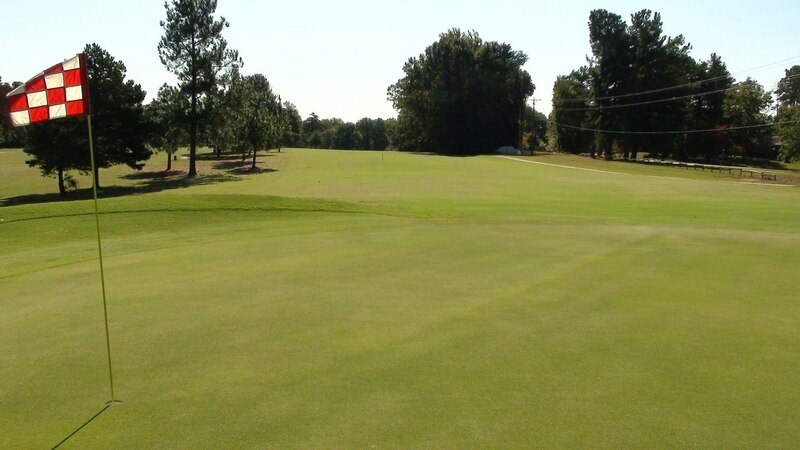 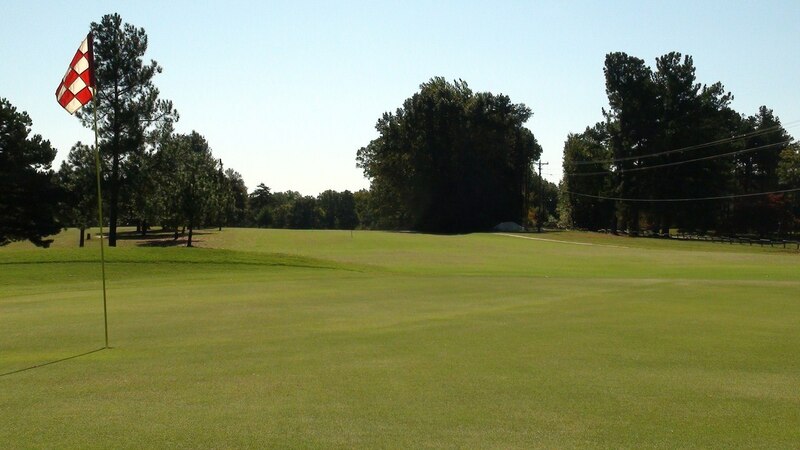 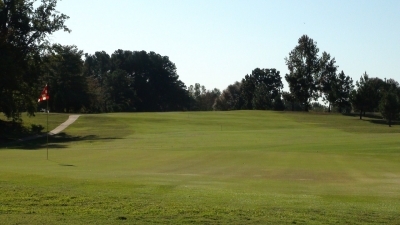 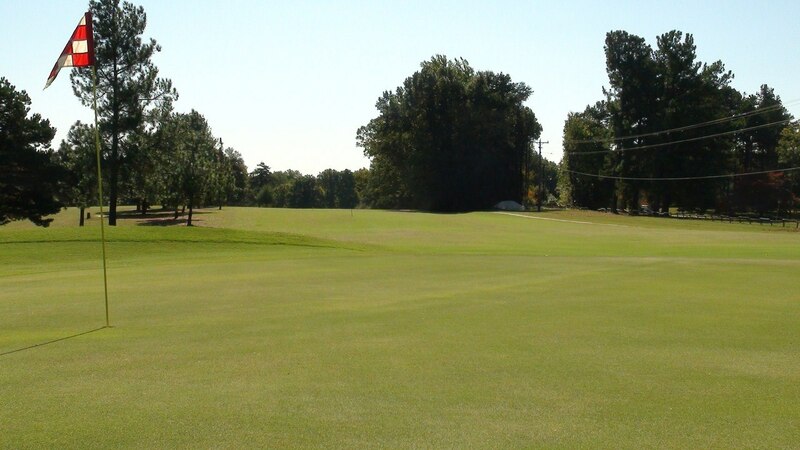 As you approach the green- the green at hole #16 will be beyond the flag and #15 to the right. 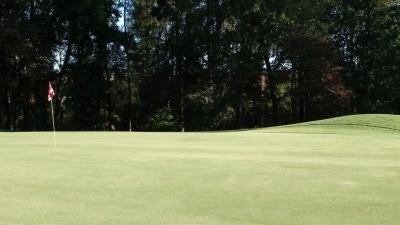 You'll have to come around the sharp left before seeing the green on this hole. 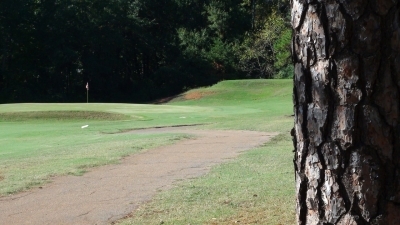 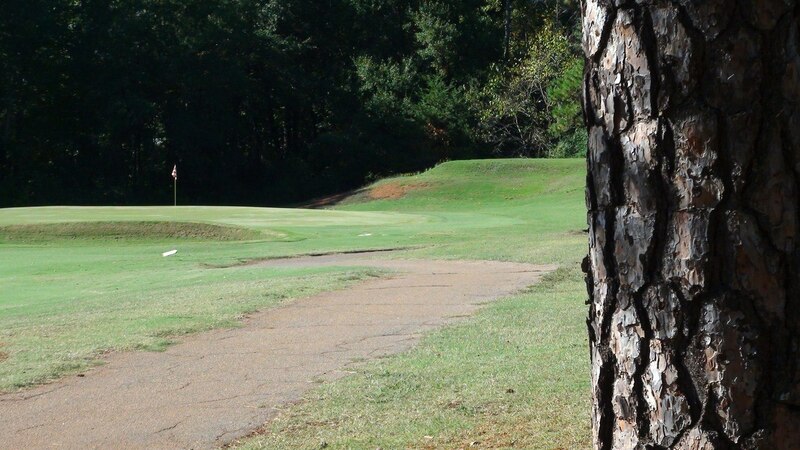 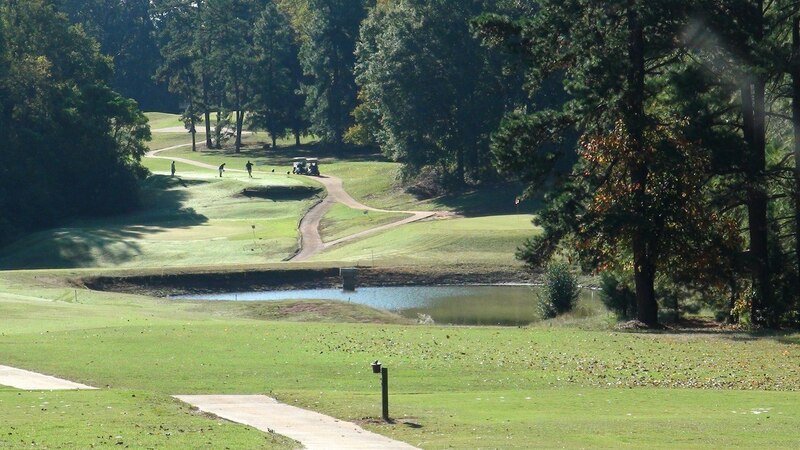 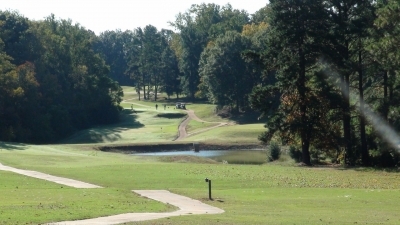 You'll enjoy the secluded feel of this hole as you tee off from the grove. 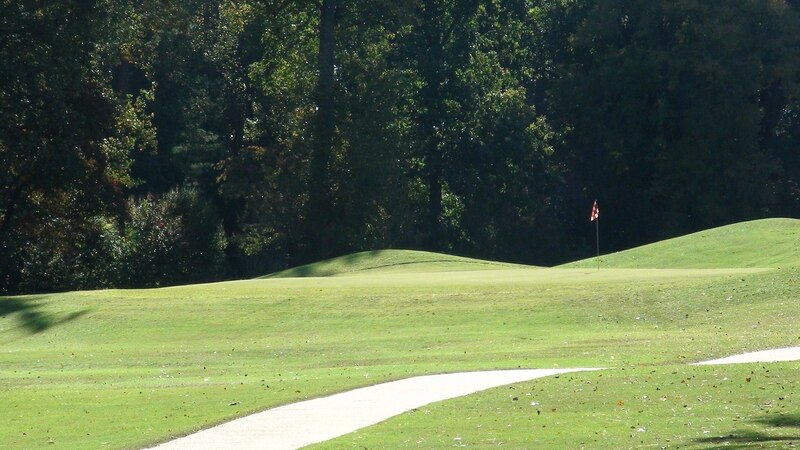 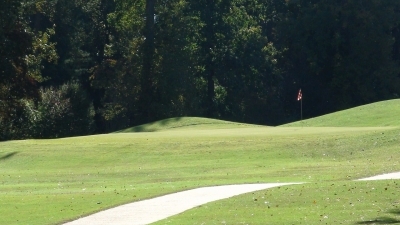 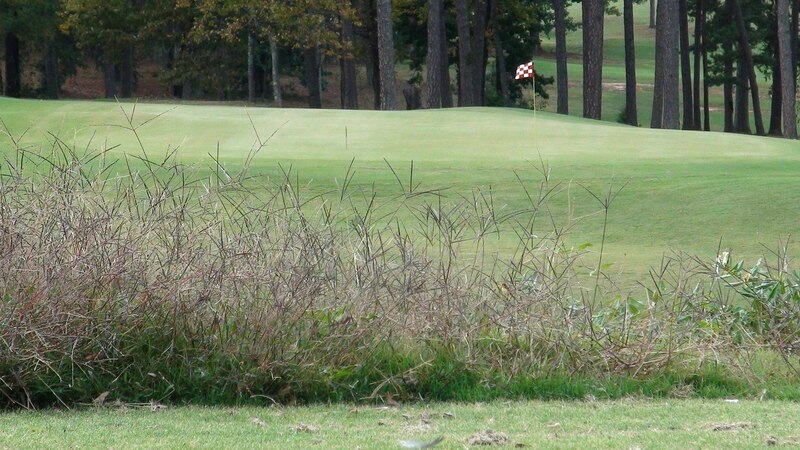 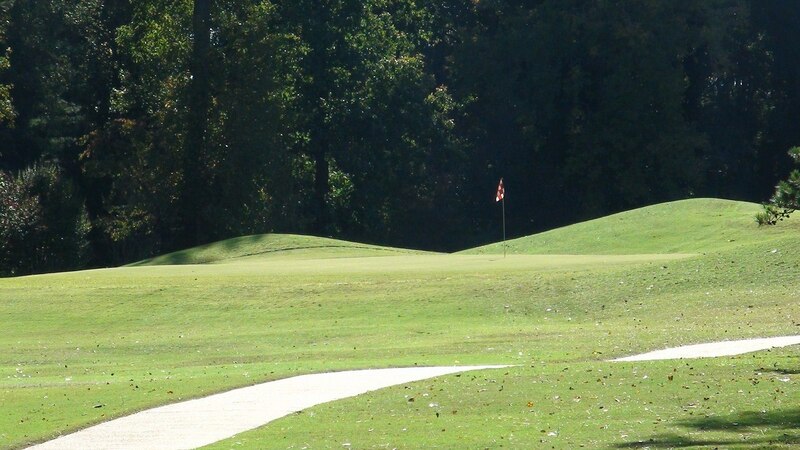 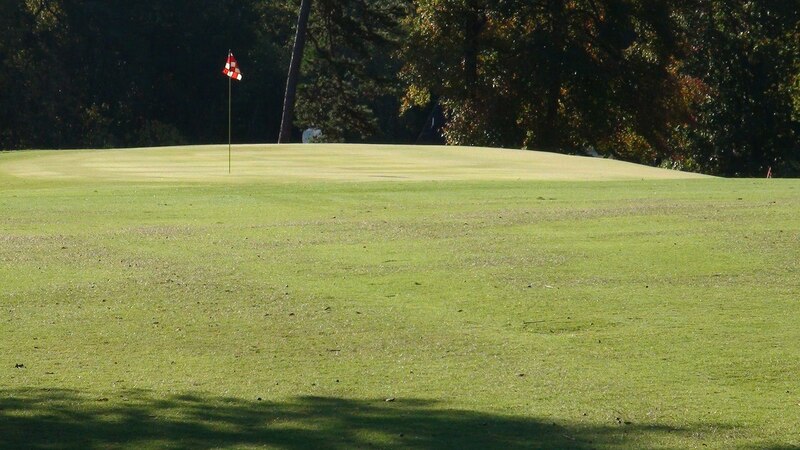 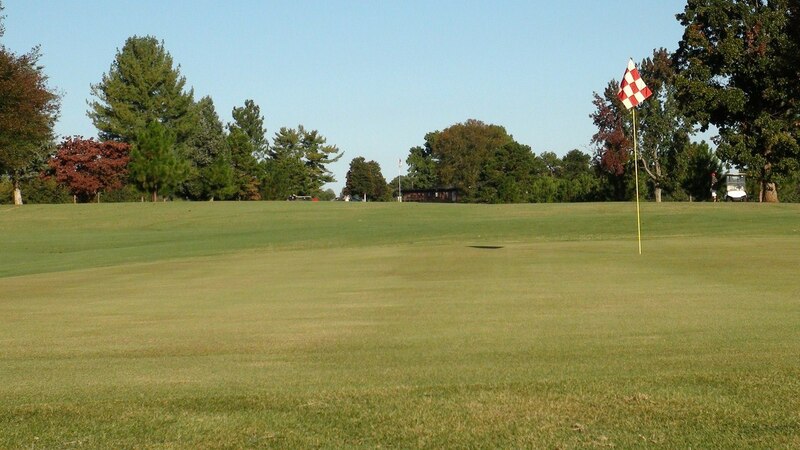 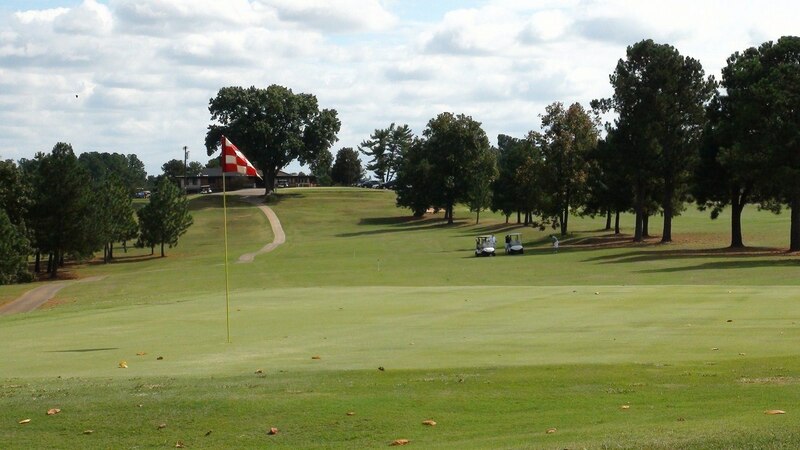 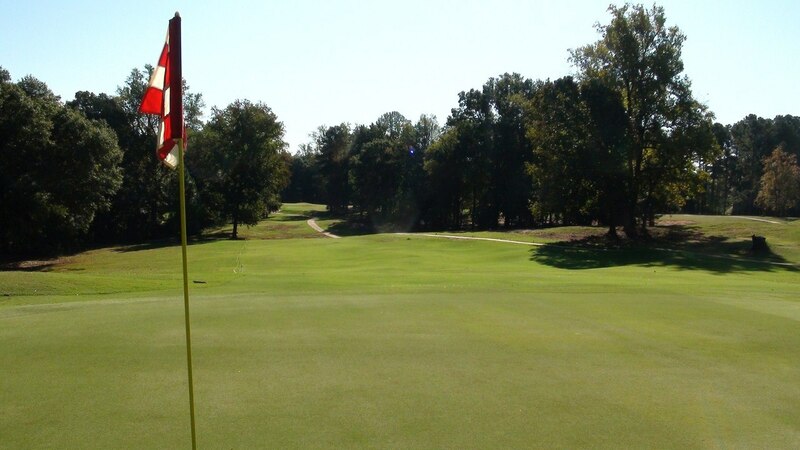 As you approach the green you'll be passing by hole #10 and wishing you could begin again. 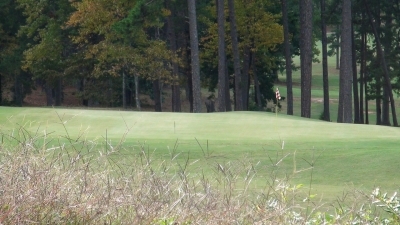 You're not out of the woods yet- time for the final par 5 on the way to the clubhouse. 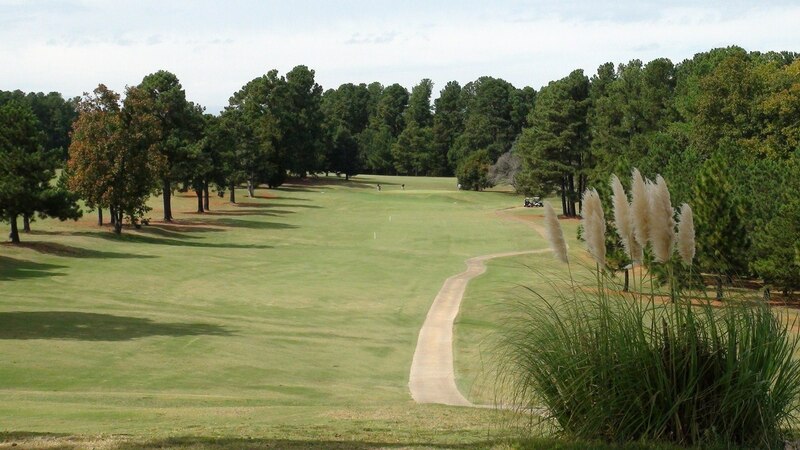 The serenity of this course will have you coming back again and again. 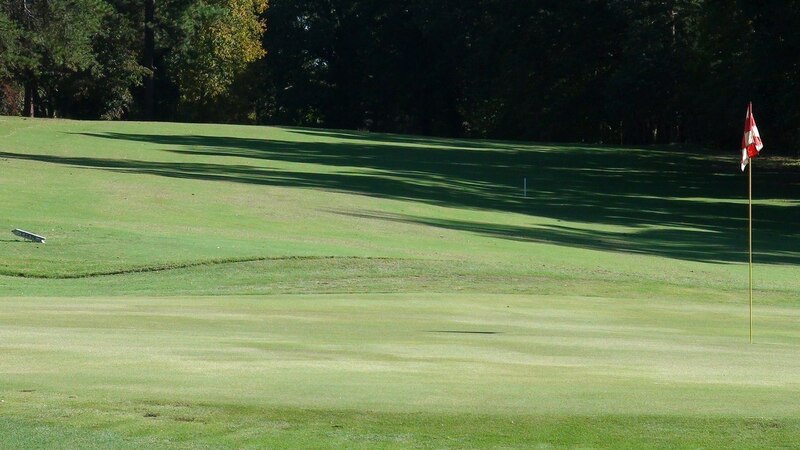 The tranquil scenery and peace and quiet of this course is why we call this course home- we hope you will too and come back and play again.